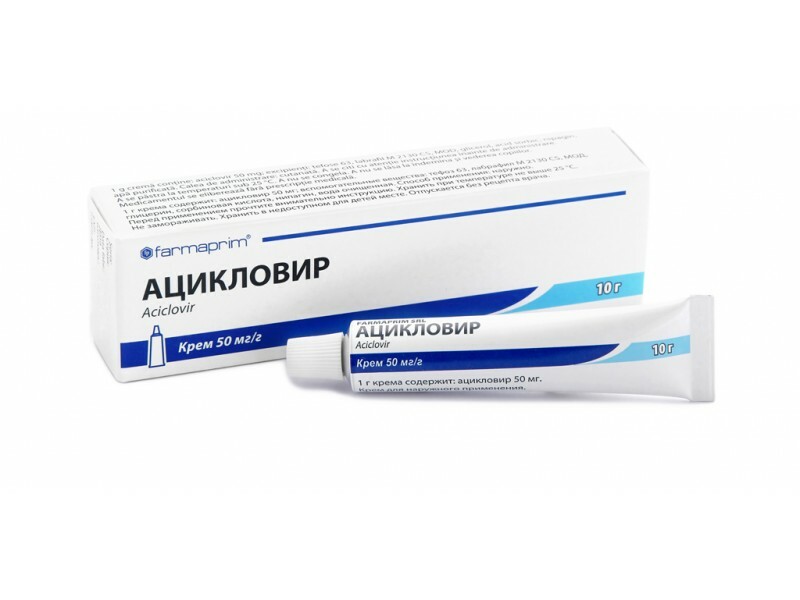 Each gram of cream contains: aciclovir 50 mg, as active substance. 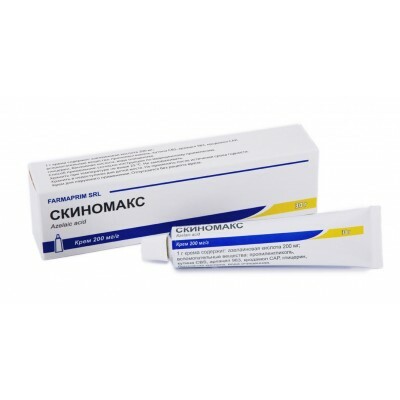 Each gram of cream contains: clotrimazole 10mg (1%); betamethasone dipropionate 0.5mg, equivalent to 0.5mg (0.05%) betamethasone, gentamicin 1mg (0.1%) , as active substances. 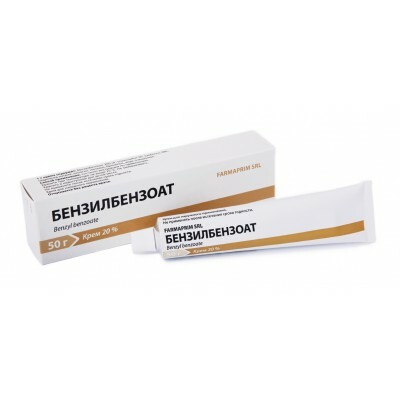 Each gram of cream contains: benzyl benzoate 200 mg, as active substance. 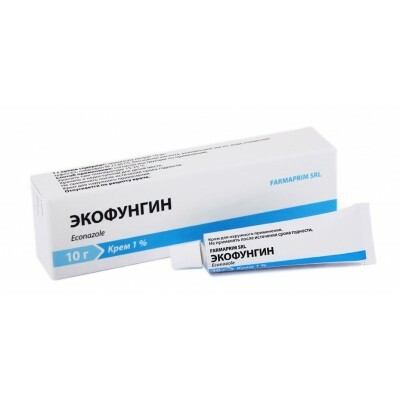 Each suppository contains: bisacodyl 10 mg, as active substance. 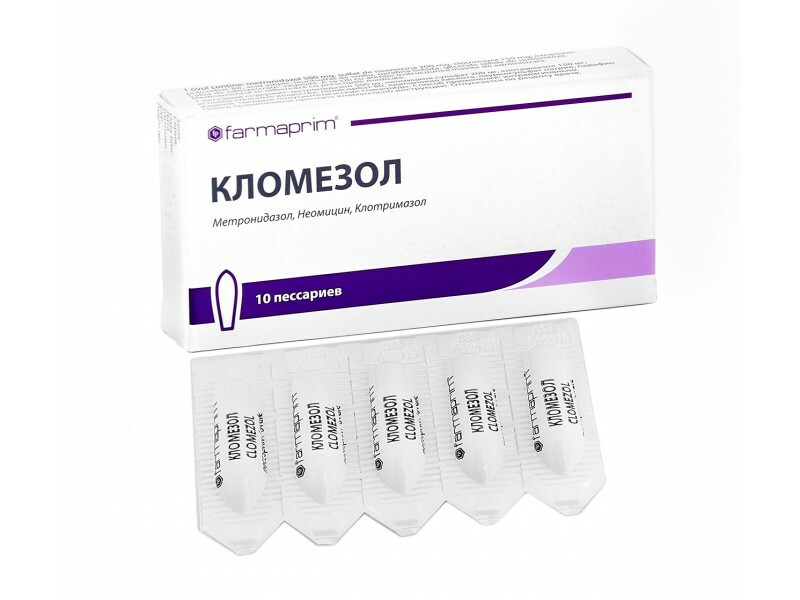 Each ovule contains: clindamycin phosphate equivalent to 100 mg clindamycin, as active substance. 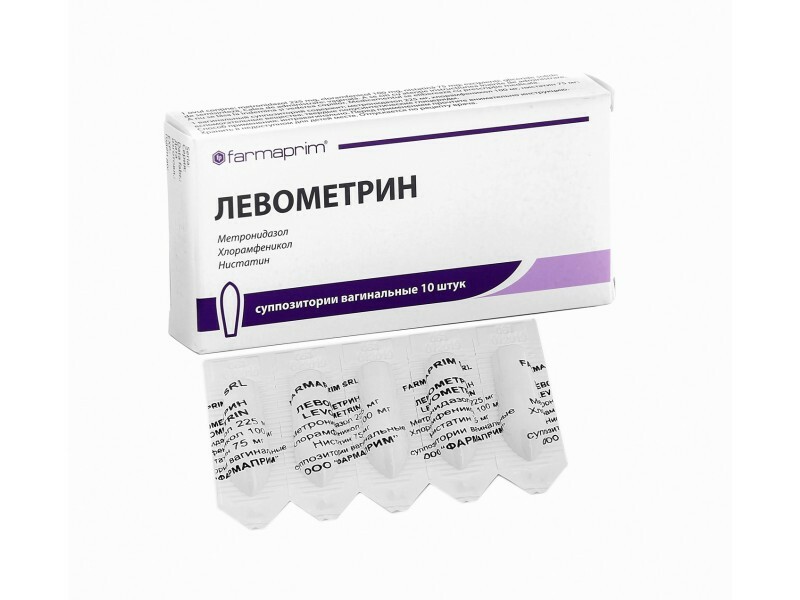 Each ovule contains: metronidazole 500 mg; cloramphenicol 200 mg; natamycin 100 mg; hydrocortisone acetate 15 mg, as active substances. 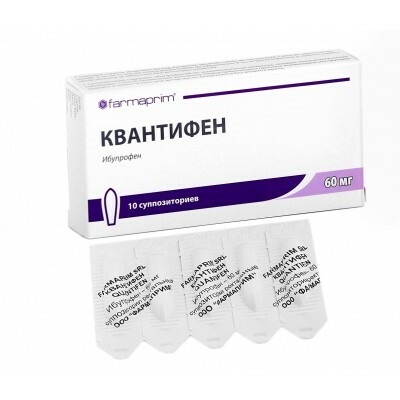 Each ovule contains: metronidazole 500 mg, clotrimazole 150 mg, neomycin sulphate 200 mg, as active substances. 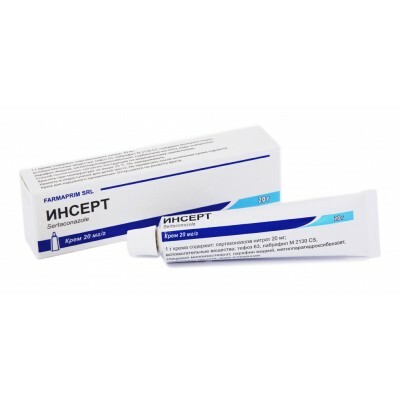 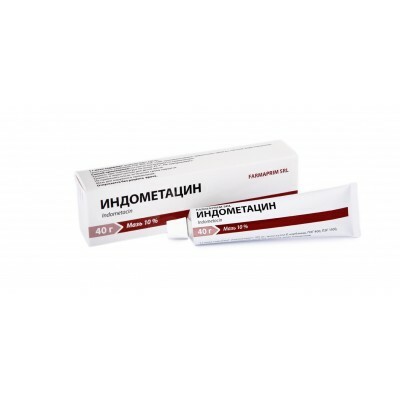 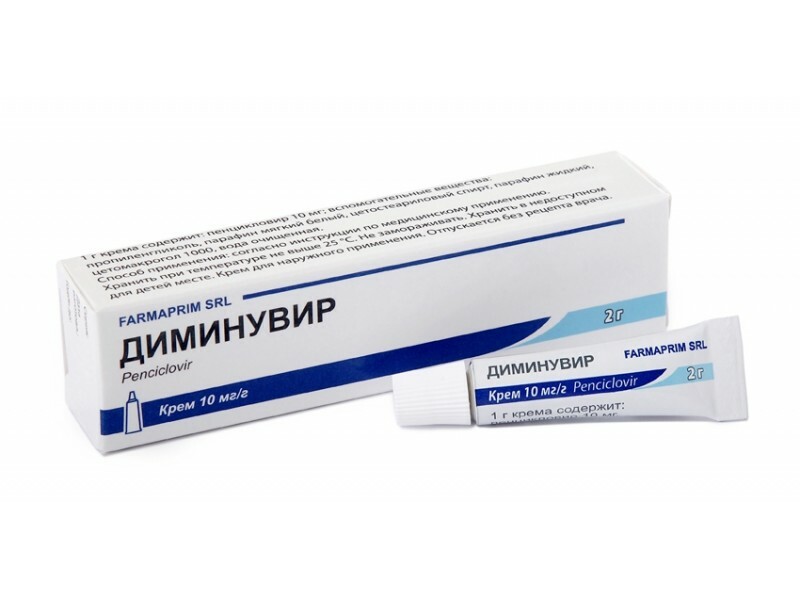 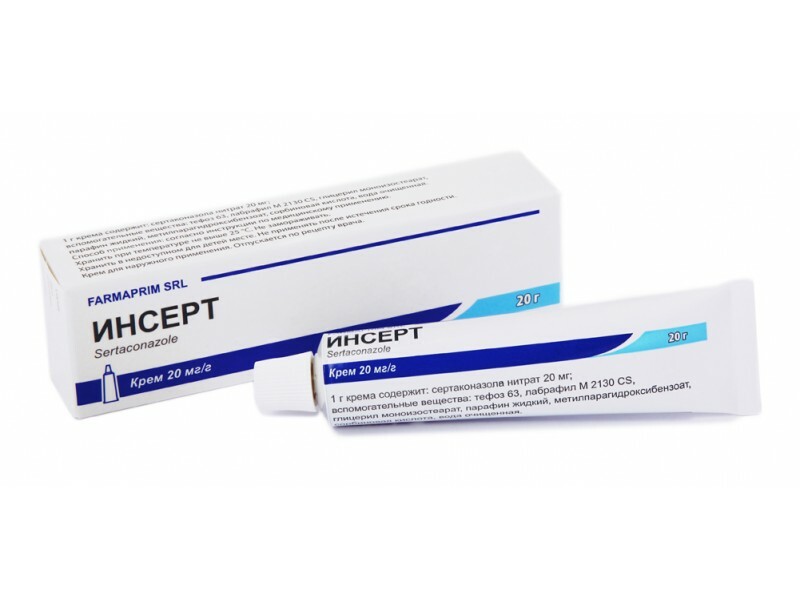 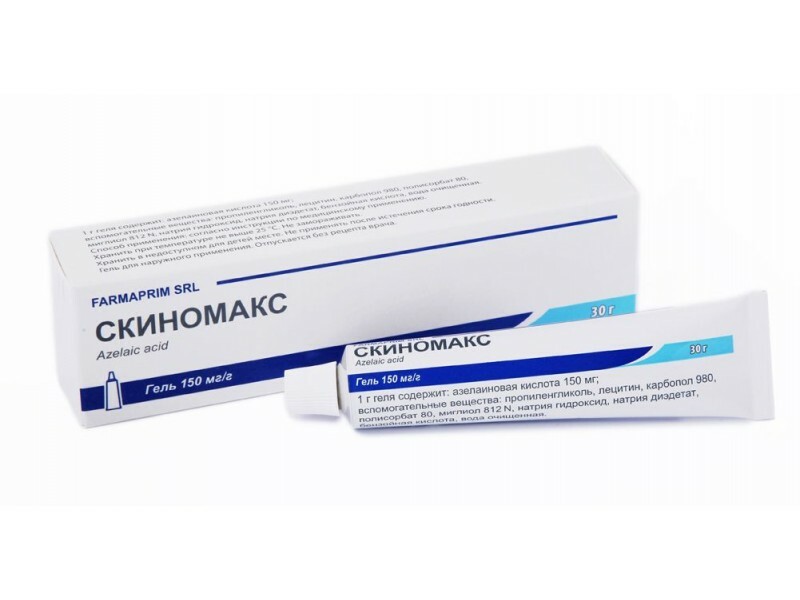 Each gram of the ointment contains: chloramphenicol 7,5 mg; methyluracil 40 mg, as active substances. 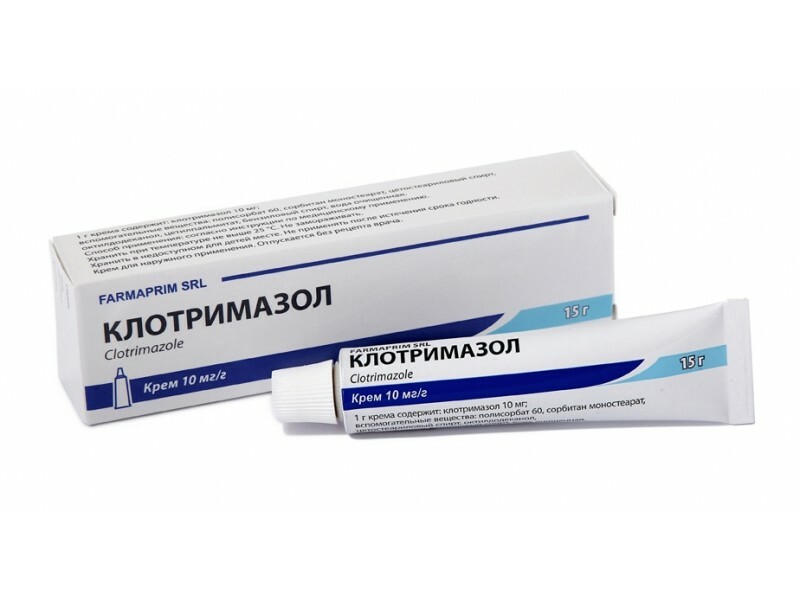 Each gram of the ointment contains: chloramphenicol 10 mg; methyluracil 40 mg; sulfadimethoxine 40; trimecaine 30 mg, as active substances. 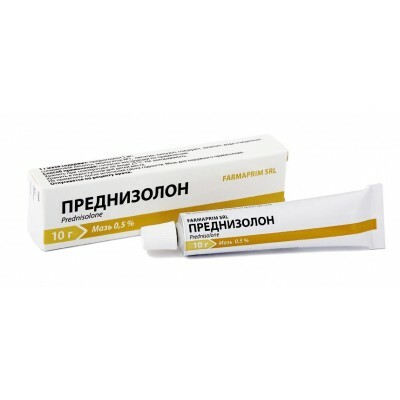 Each gram of the cream contains: naftifine hydrochloride 10 mg, as active substance. 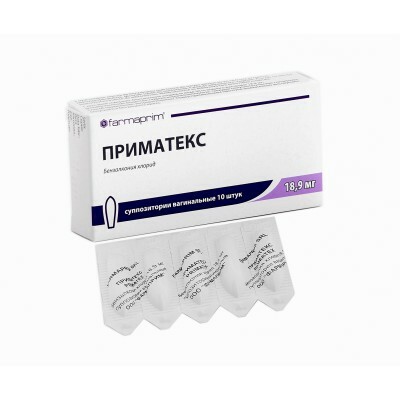 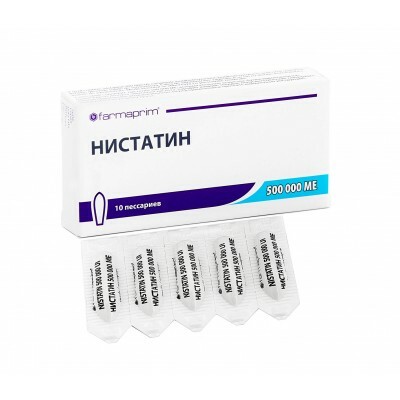 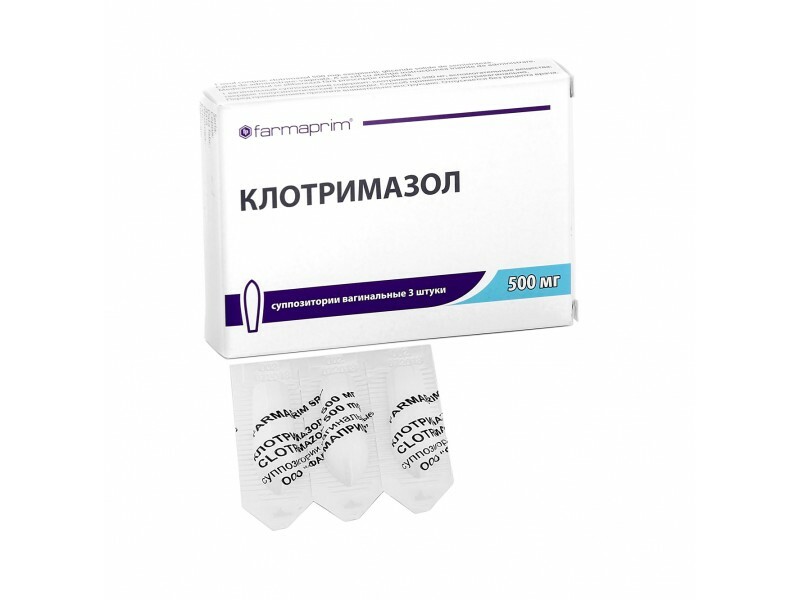 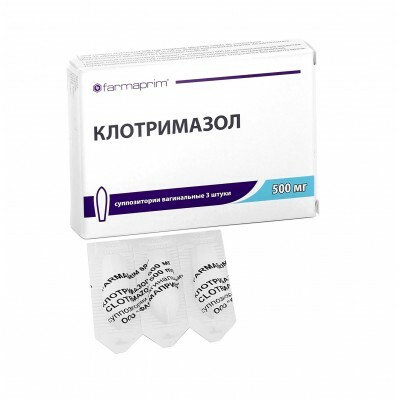 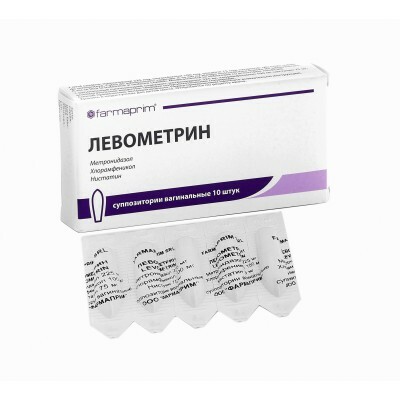 Each ovule contains: clotrimazole 500 mg, as active substance. 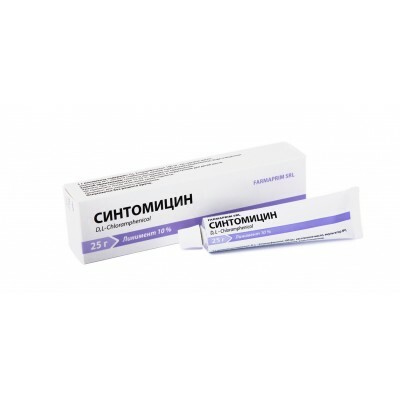 Each gram of the cream contains: clotrimazole 10 mg, as active substance. 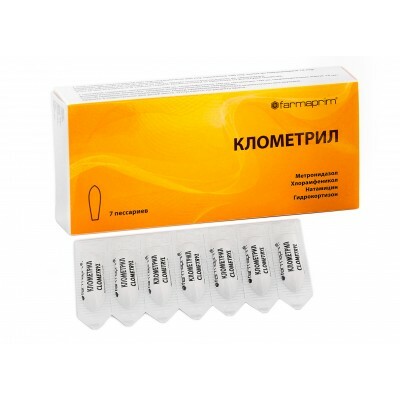 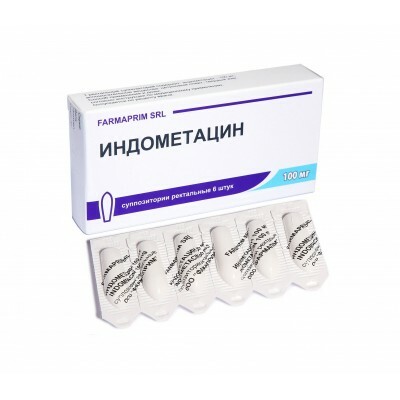 Each ovule contains: clotrimazole 100 mg, as active substance. 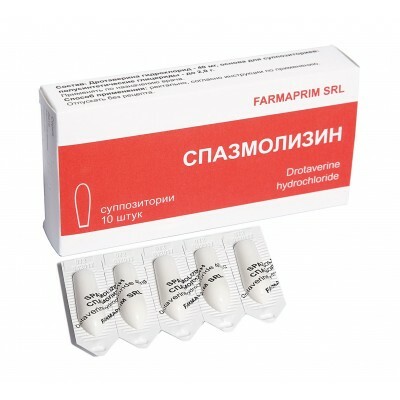 Each gram of the gel contains: lidocaine hydrochloride 5 mg, Chamomile flower extract, Thymol, as active substances. 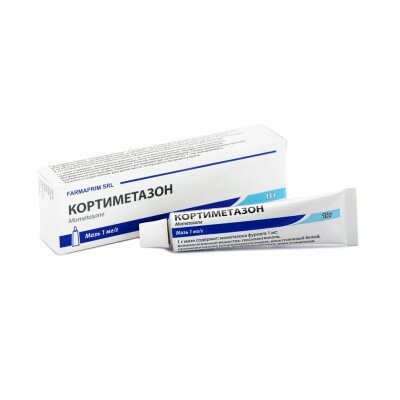 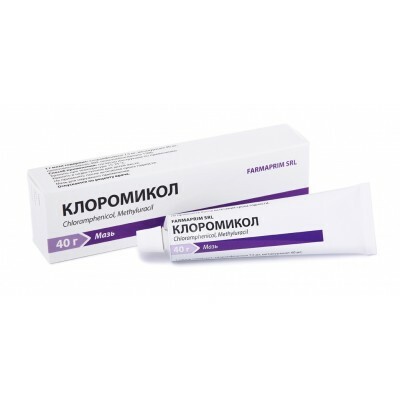 Each gram of the ointment contains: fluocinolone acetonide 0,25 mg; neomycin sulphate 5 mg, as active substances. 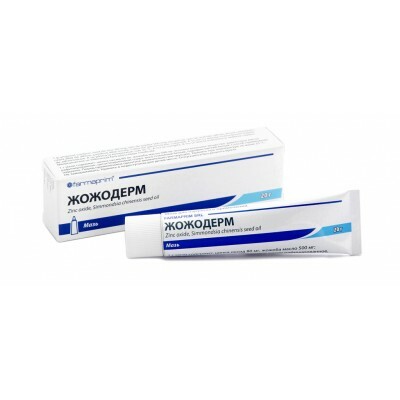 Each gram of the ointment contains: fluocinolone acetonide 0,25 mg, as active substance. 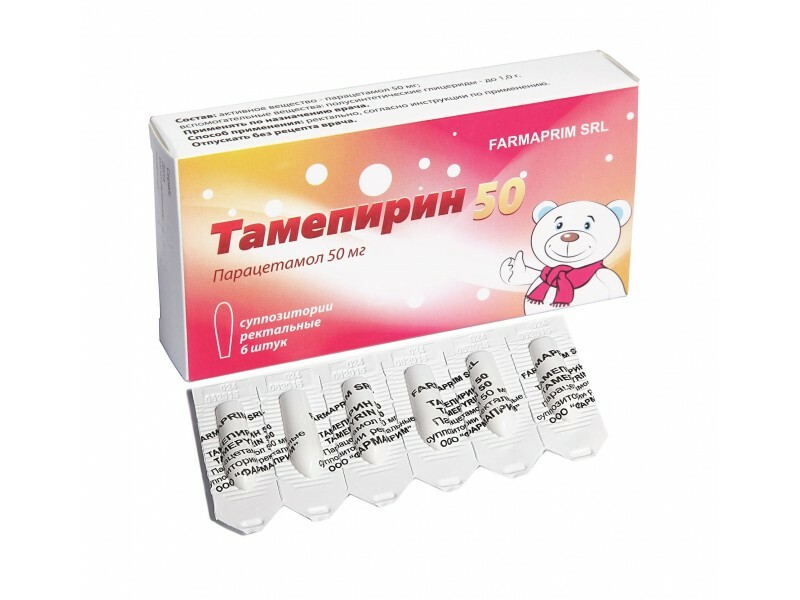 Each gram of the gel contains: diclofenac sodium 50 mg, as active substance. 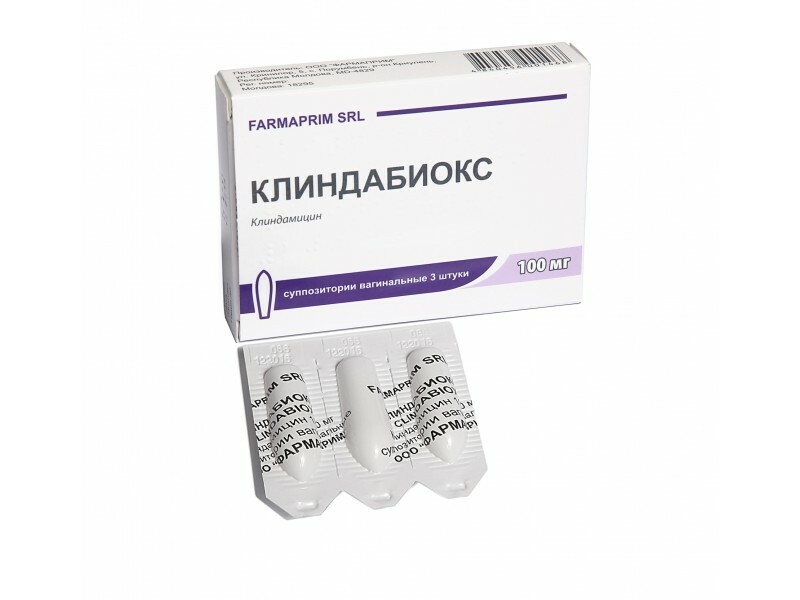 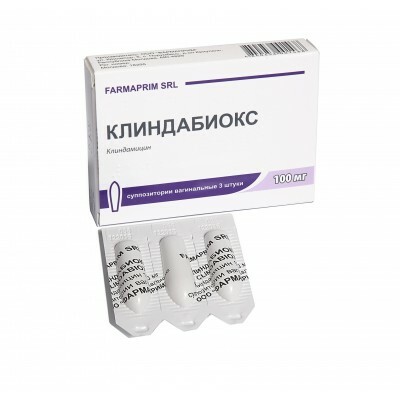 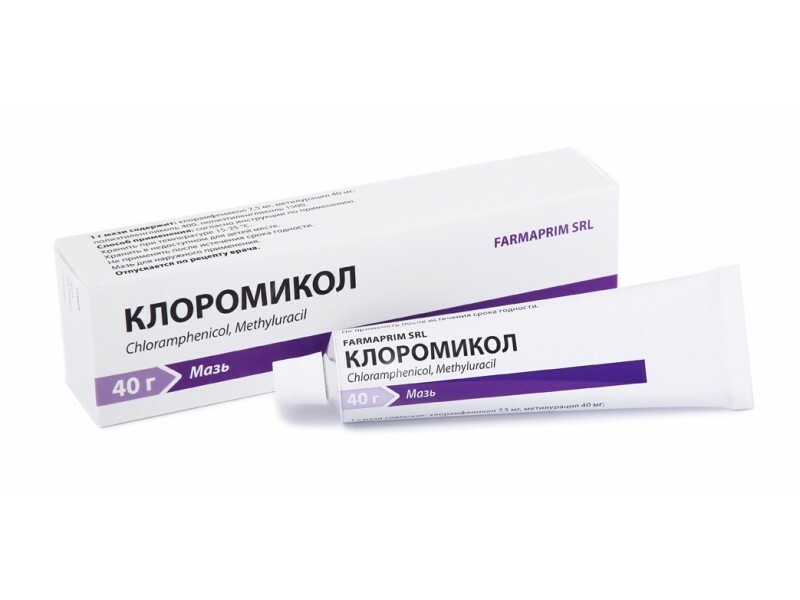 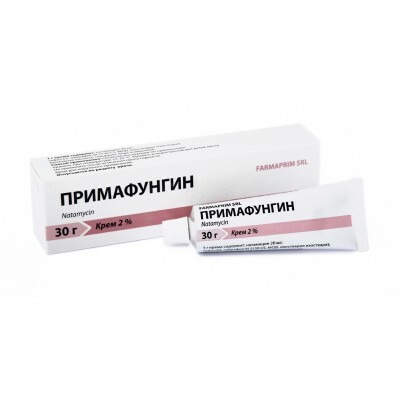 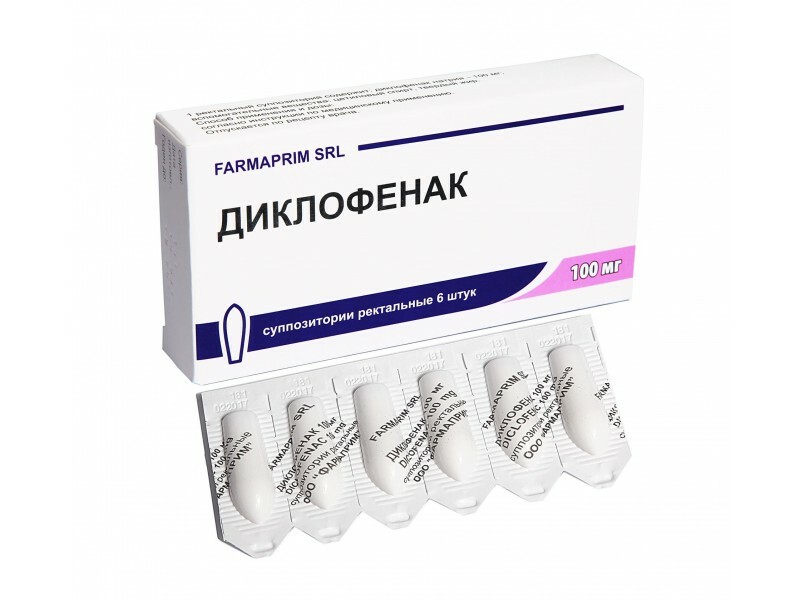 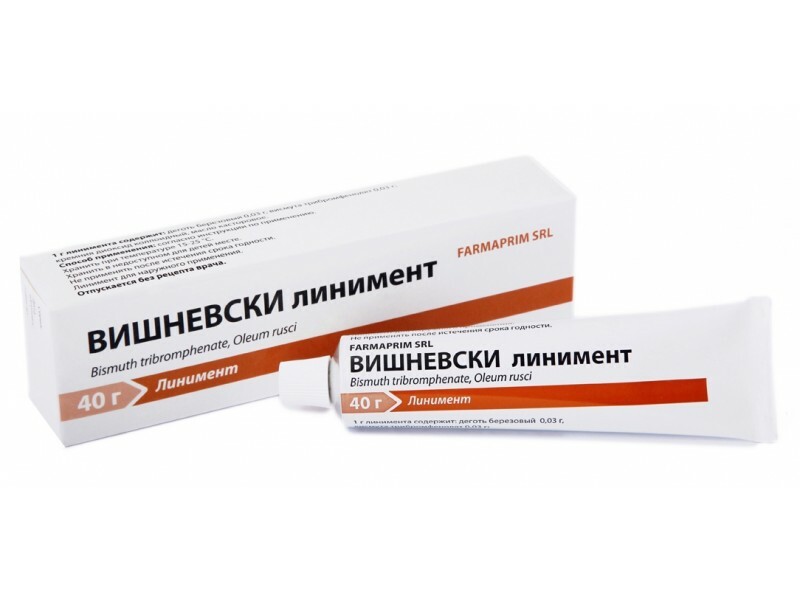 Each suppository contains: diclofenac sodium 50 or 100 mg, as active substance. 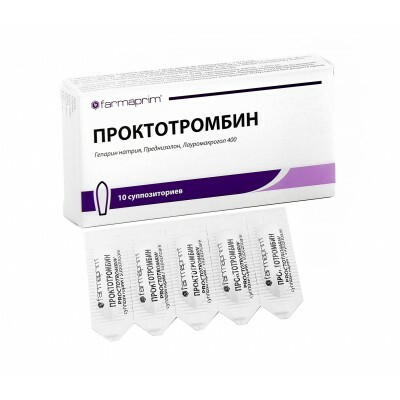 Each gram of the gel contains: diclofenac sodium 10 mg, as active substance. 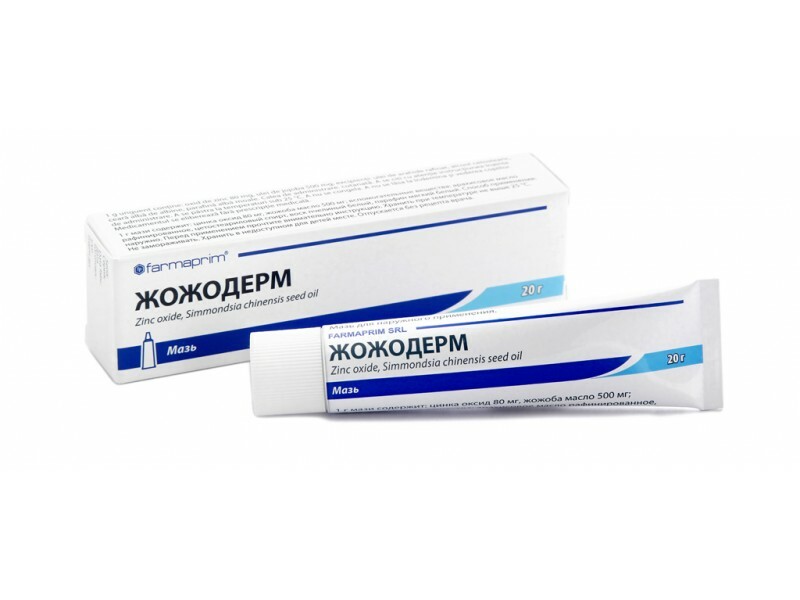 Each gram of the cream contains: dexpanthenol 52.5mg, chlorhexidine bigluconate 8 mg, as active substances. 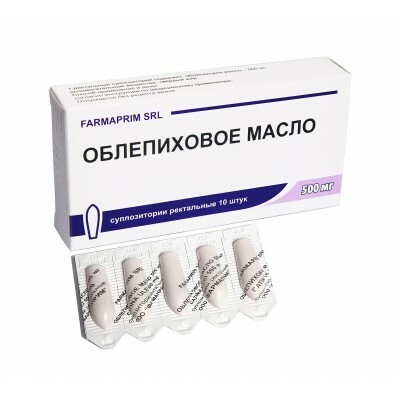 Each ovule contains: dexpanthenol 100 mg, chlorhexidine bigluconate 16 mg, as active substances. 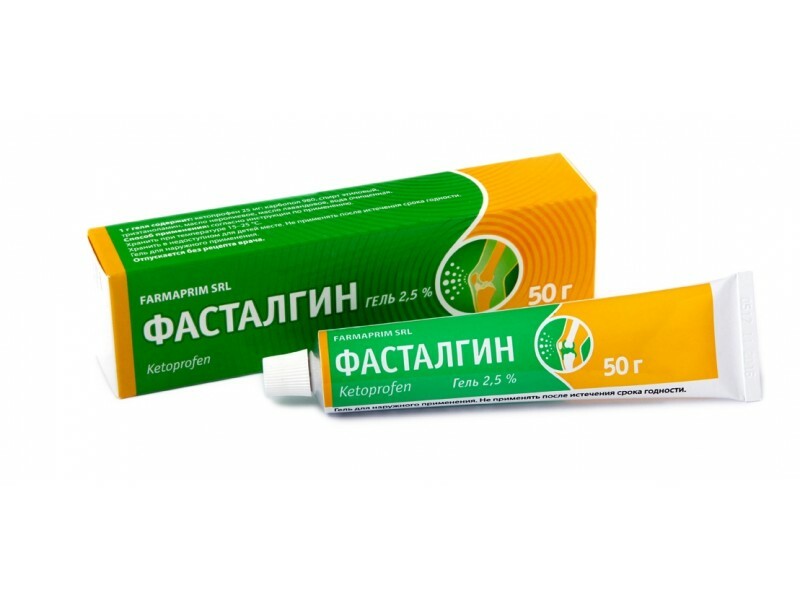 Each gram of the cream contains: econazole nitrate 10 mg, as active substance. 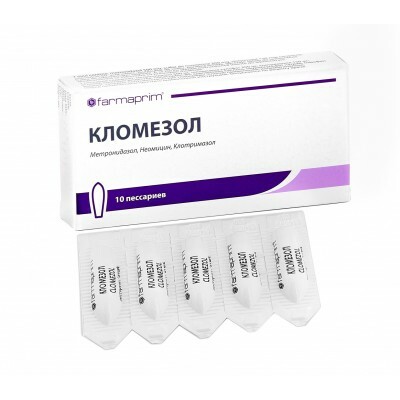 Each ovule contains: econazole 50 or 150 mg, as active substance. 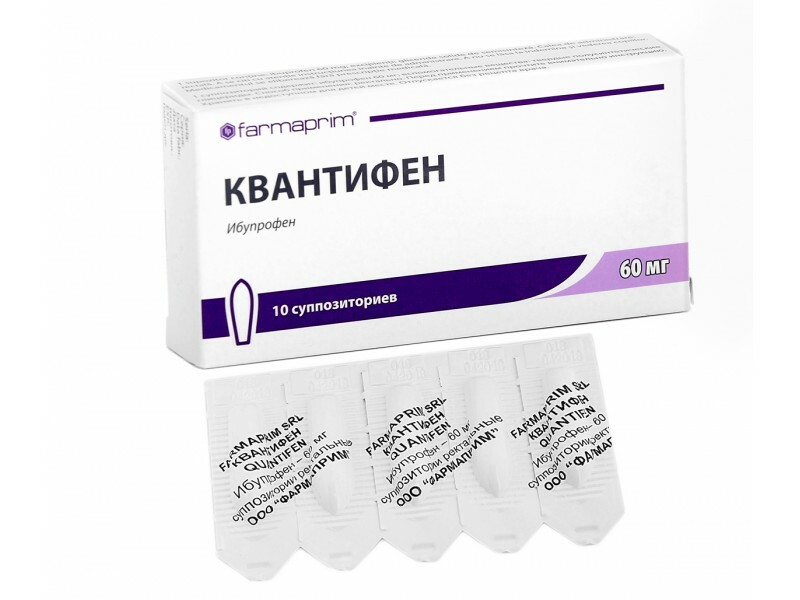 Each ovule contains: estriol 0,03 mg, Lactobacillus rhamnosus and Lactobacillus reuteri - not less than 10ˆ8 CFU. 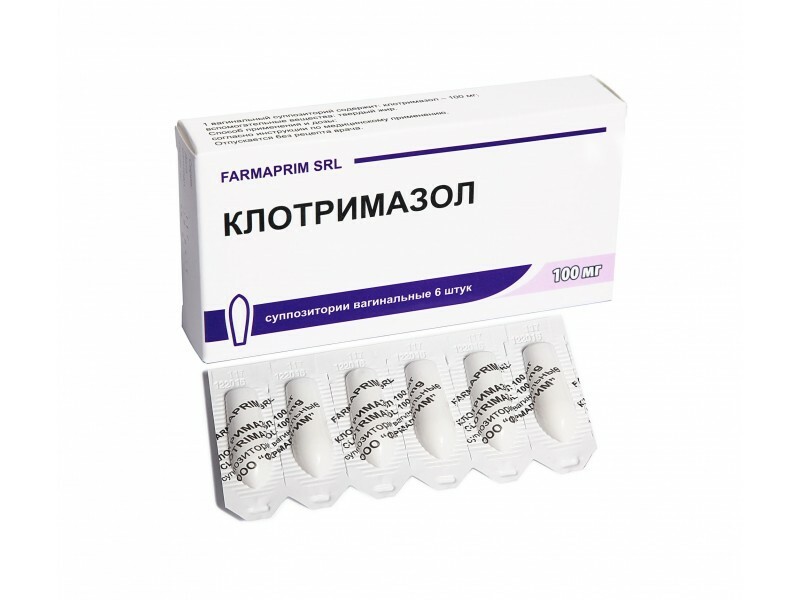 Each ovule contains: estriol 0,5 mg, as active substance. 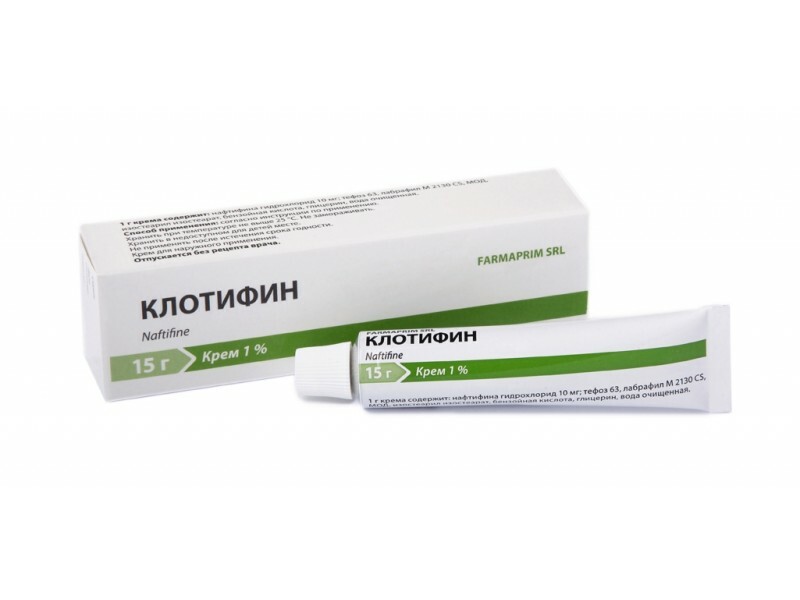 Each gram of the ointment contains: oxytetracycline hydrochloride 30 mg; hydrocortisone acetate 10 mg , as active substances. 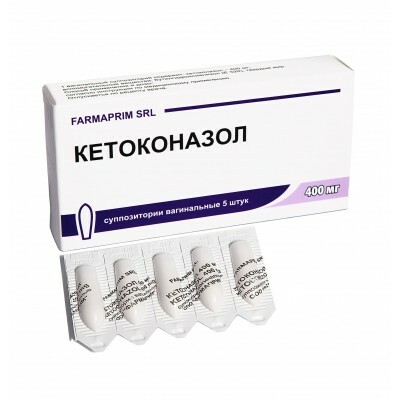 Each gram of the gel contains: ketoprofen 25 mg, as active substance. 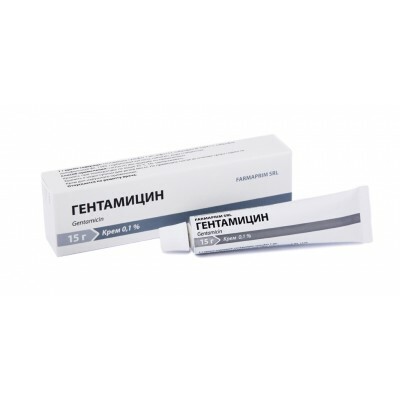 Each gram of the cream contains: gentamicin sulfate 1mg, as active substance. 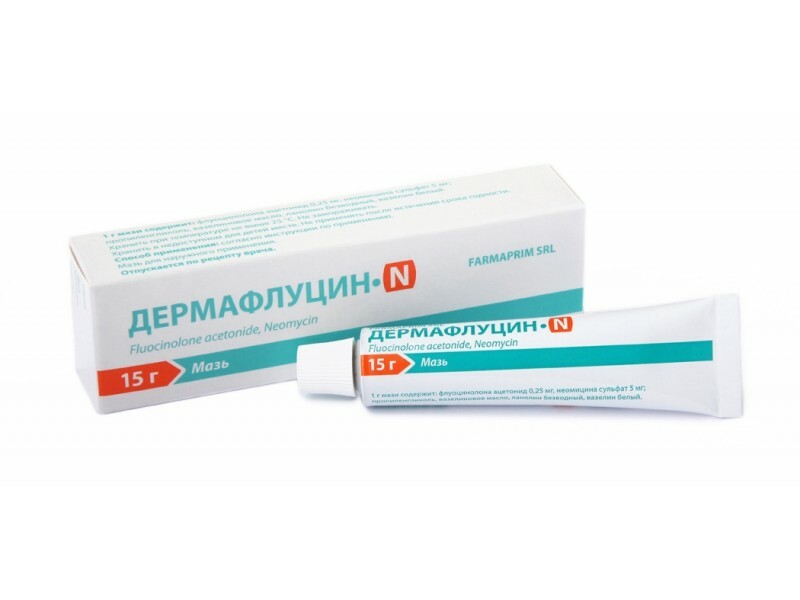 Each gram of the ointment contains: betamethasone 0,5 mg; acidum salicylicum 30 mg, as active substances. 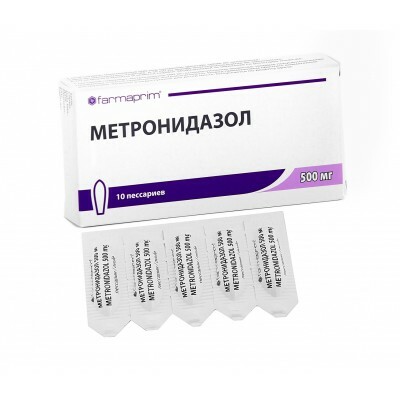 Each gram of the gel contains: heparin sodium 1000 UI, as active substance. 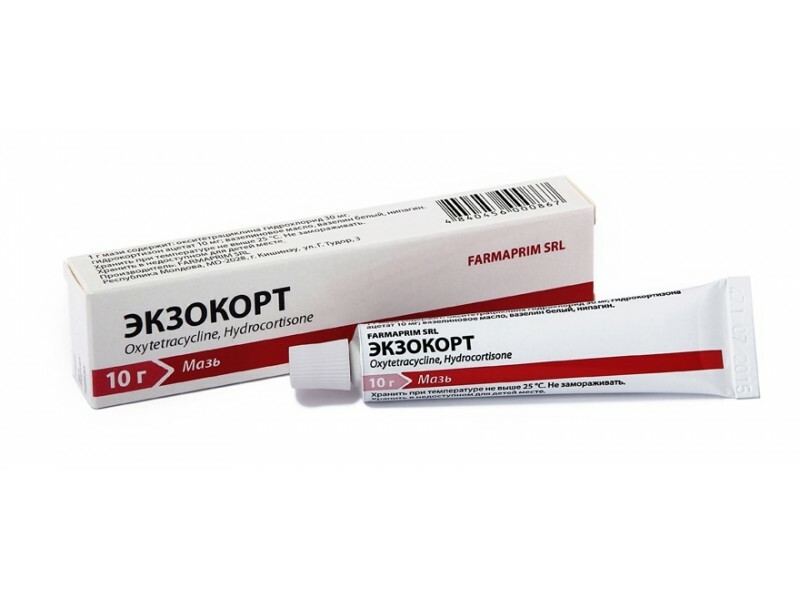 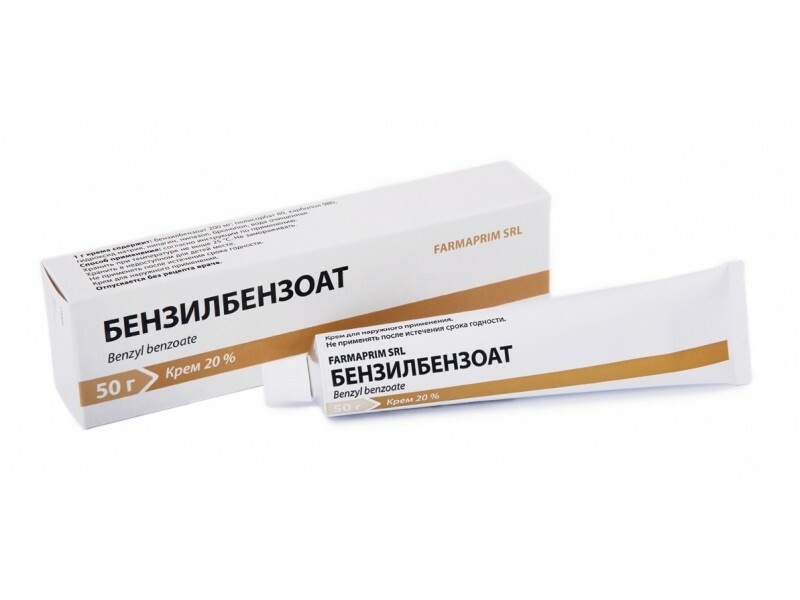 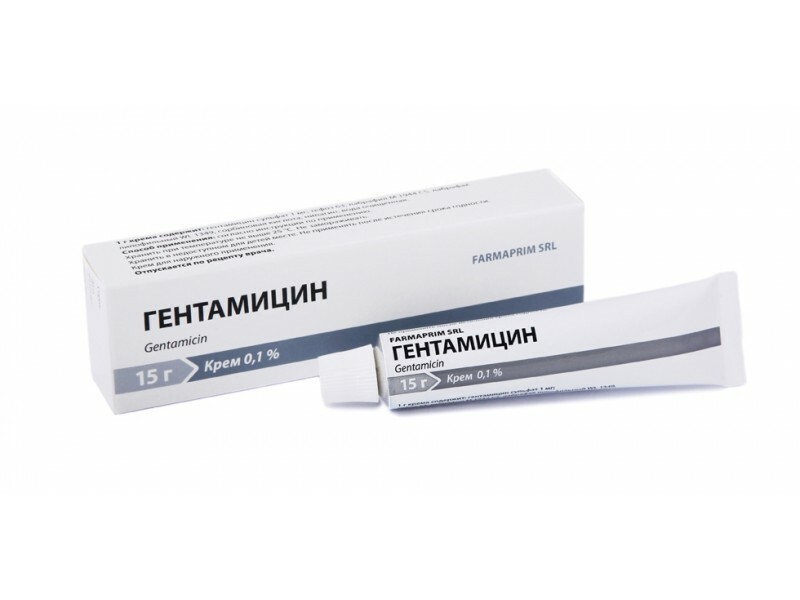 Each gram of the ointment contains: heparin sodium 300 UI; allantoin 2,5 mg; dexpanthenol 2,5 mg, as active substances. 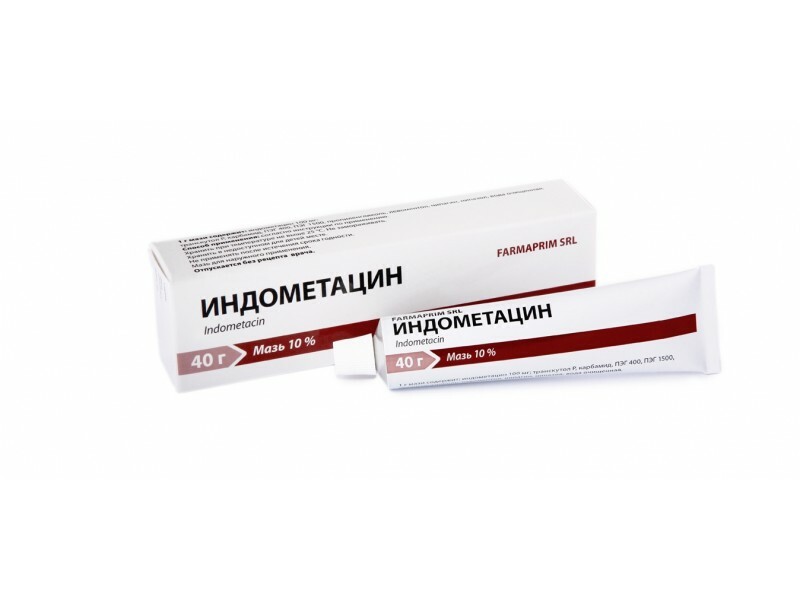 Each gram of the gel contains: heparin sodium 300 UI; allantoin 2,5 mg; dexpanthenol 2,5 mg, as active substances. 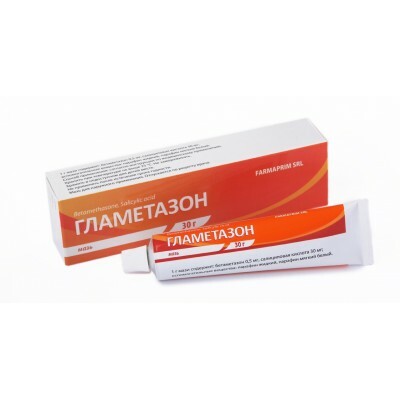 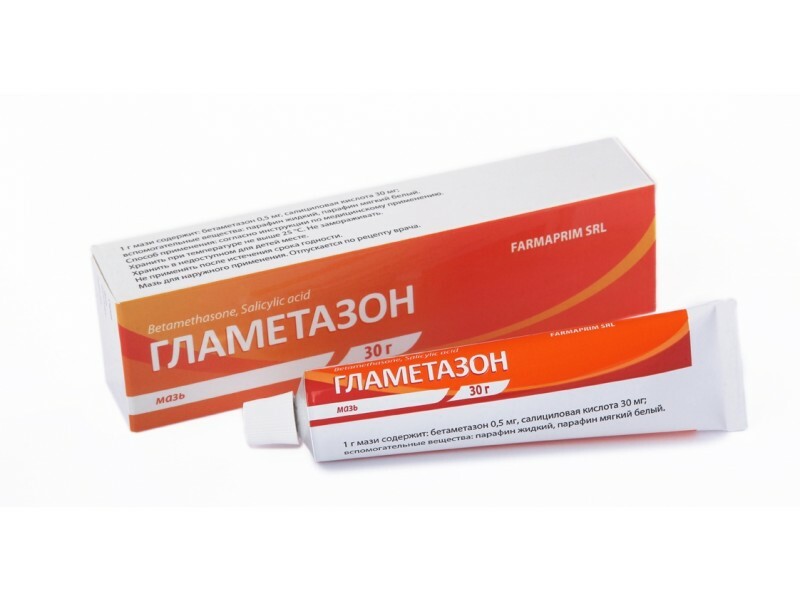 Each gram of the ointment contains: indomethacin 100 mg, as active substance. 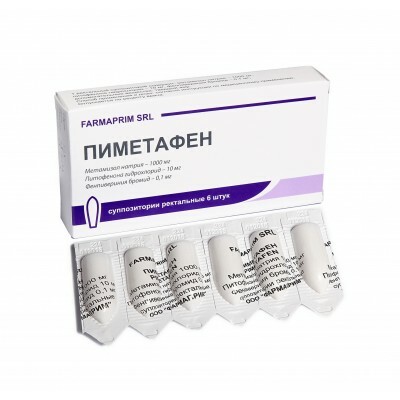 Each suppository contains: indomethacin 50 or 100 mg, as active substance. 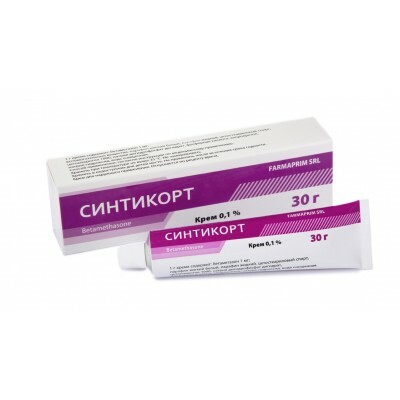 Each gram of the cream contains: sertaconazole nitrate 20mg, as active substance. 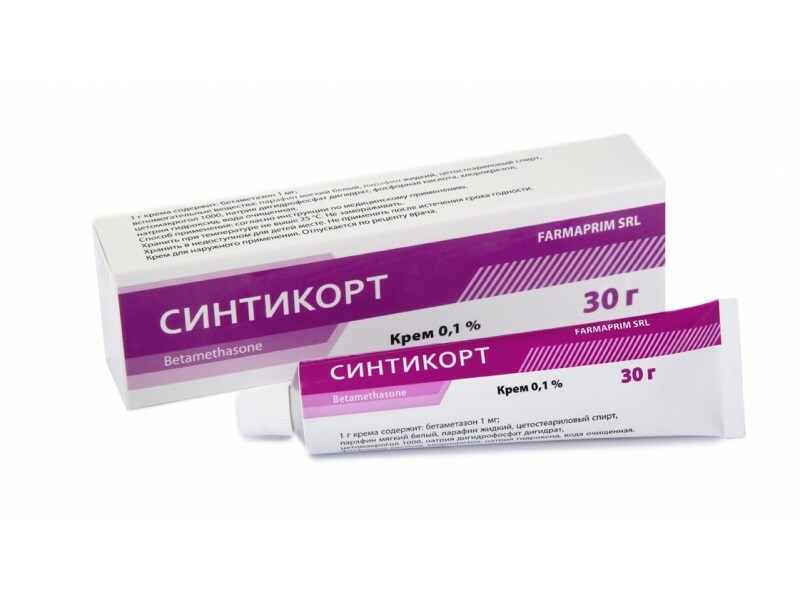 Each ovule contains: sertaconazole nitrate 300 mg, as active substance. 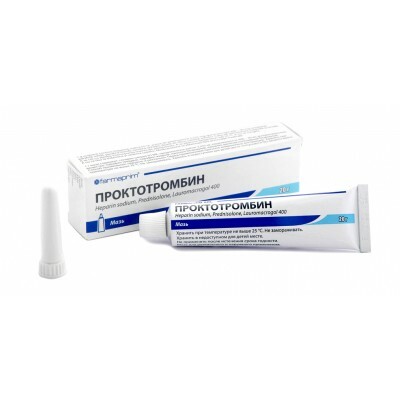 Each gram of the ointment contains: zinc oxide 80 mg; jojoba oil 500 mg, as active substances. 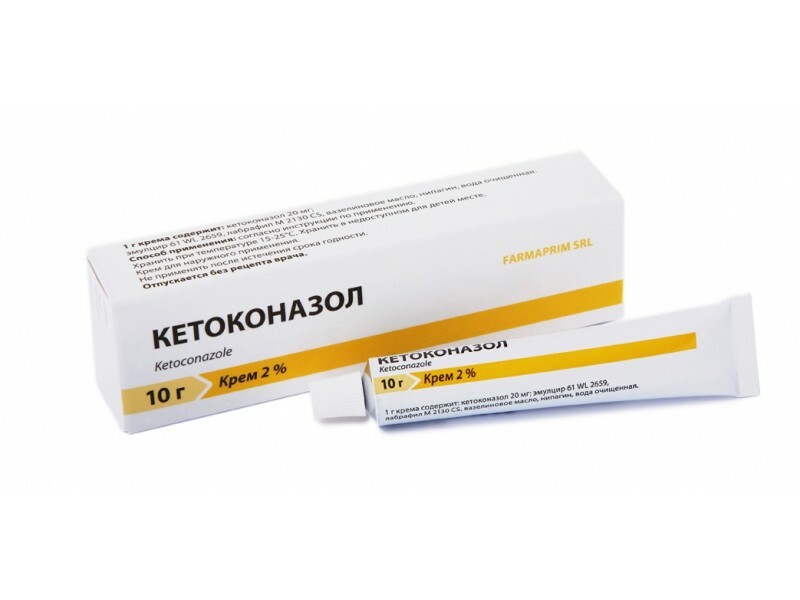 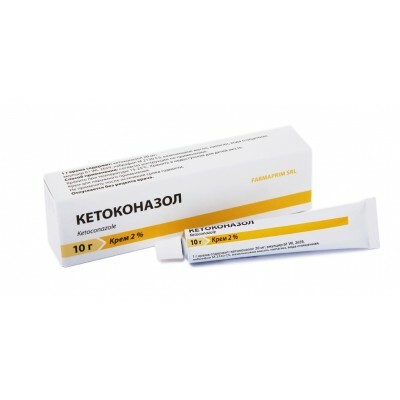 Each gram of the cream contains: ketaconazole 20 mg, as active substance. 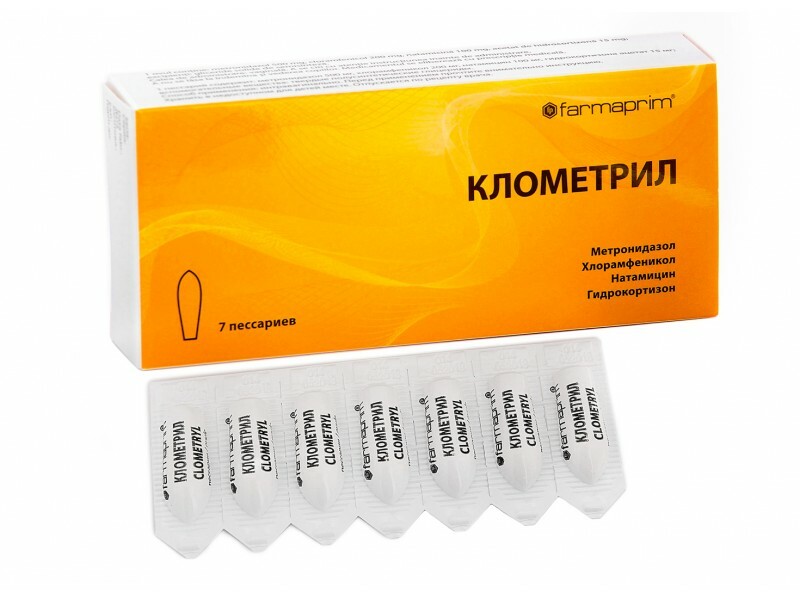 Each ovule contains: ketoconazole 400 mg, as active substance. 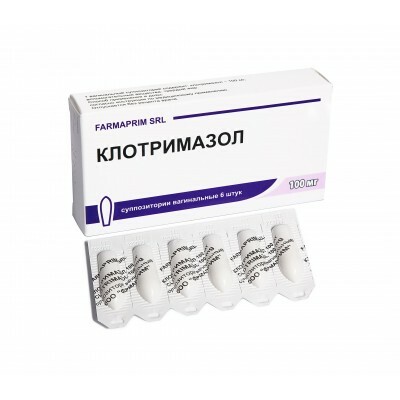 Each suppository contains: ketoprofen 100 mg, as active substance. 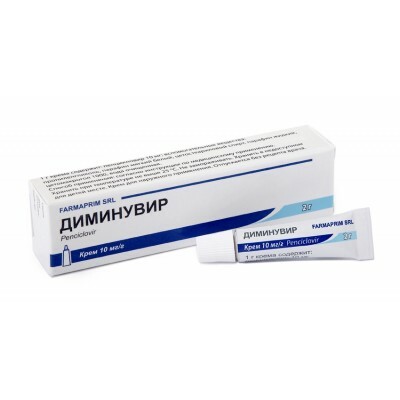 Each gram of the gel contains: clindamycin 10 mg, benzoyl peroxide 50 mg, as active substances. 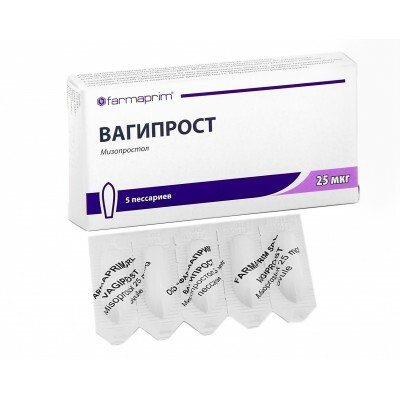 Each ovule contains: metronidazole 225 mg, cloramphenicol 100 mg, nystatin 75 mg, as active substances. 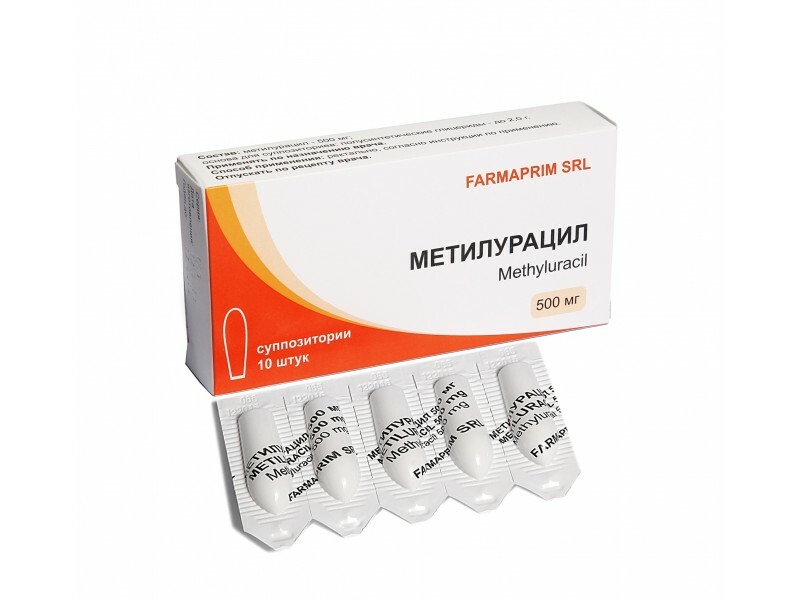 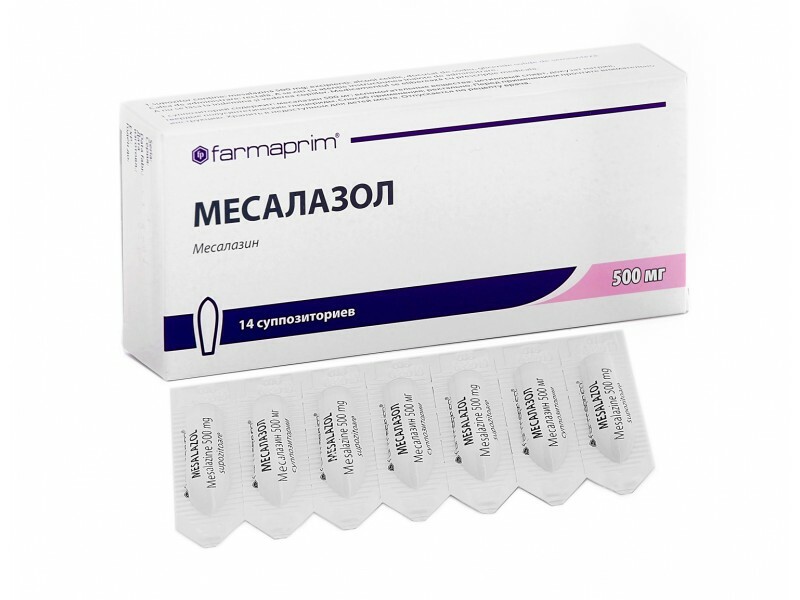 Each suppository contains: mesalazine 250 mg or 500 mg, as active substance. 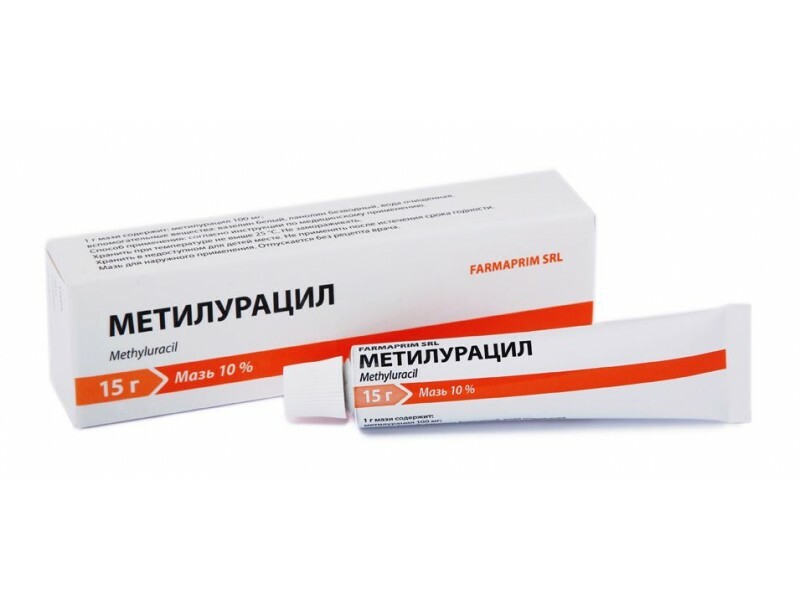 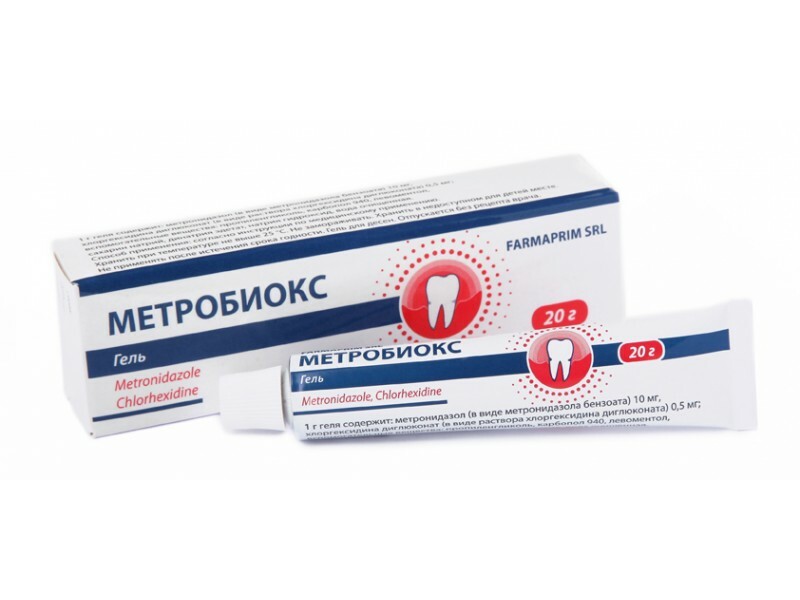 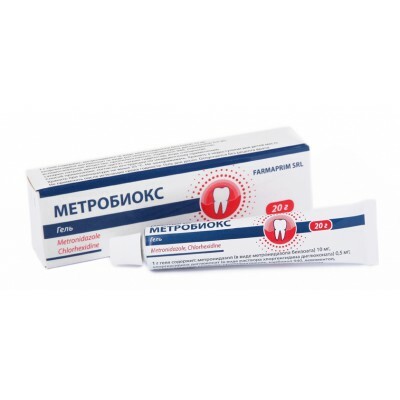 Each gram of the ointment contains: methyluracil 100 mg, as active substance. 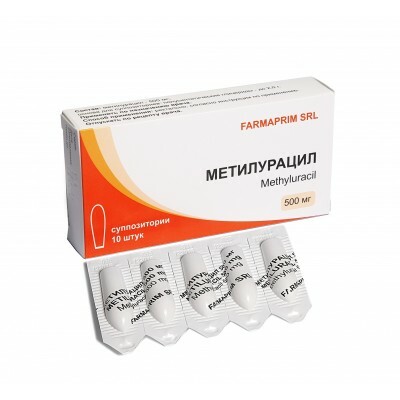 Each suppository contains: methyluracil 500 mg, as active substance. 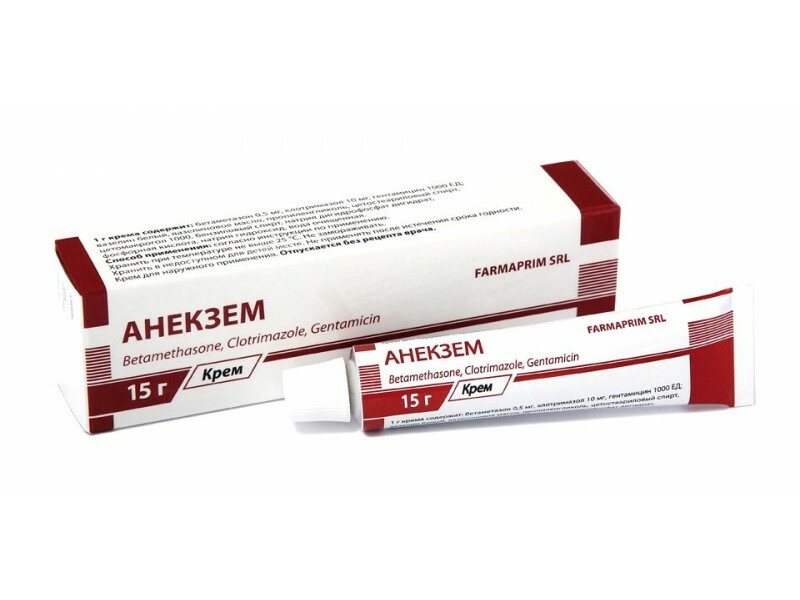 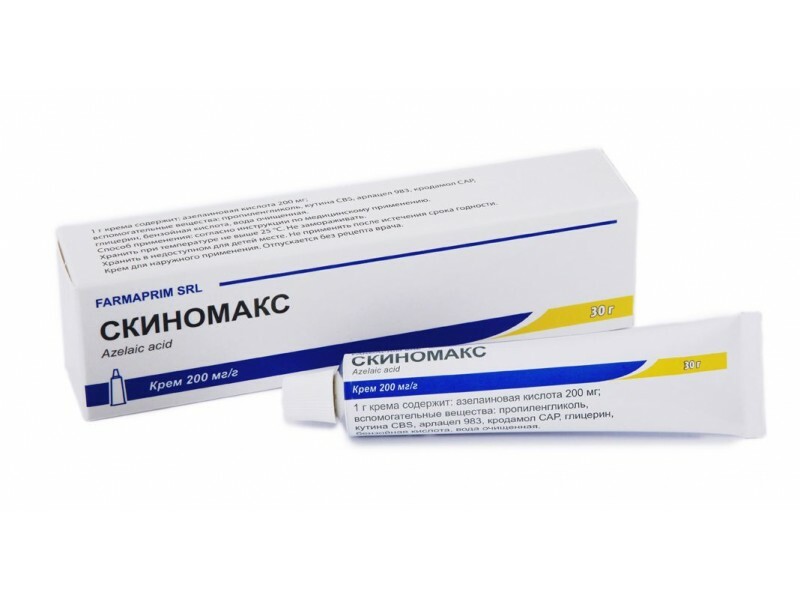 Each gram of the gel contains: each gram of the gel contains: metronidazole 10 mg; chlorhexidine gluconate 0,5 mg, as active substances. 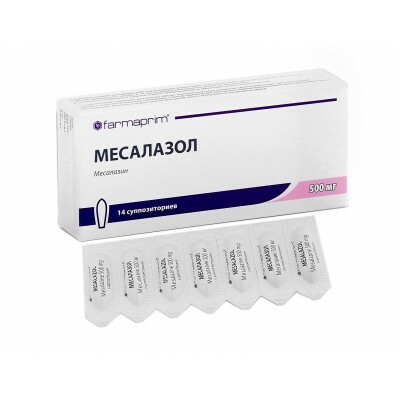 Each ovule contains: metronidazole 500 mg, miconazole nitrate 100mg, as active substance. 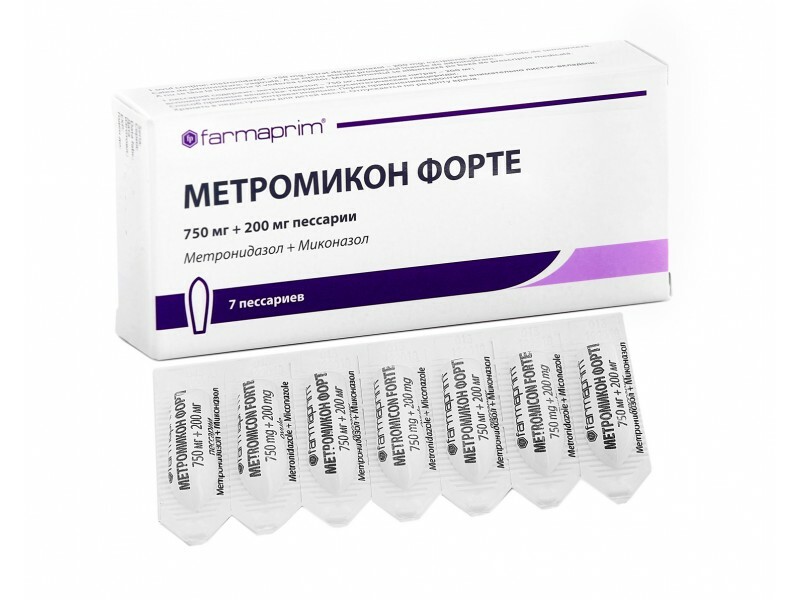 Each ovule contains: metronidazole 750 mg, miconazole nitrate 200mg, as active substance. 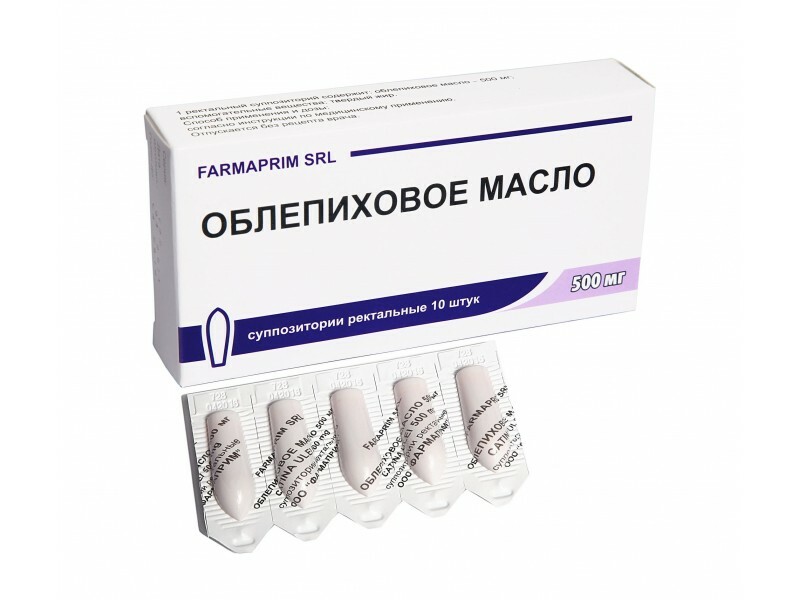 Each ovule contains: metronidazole 500 mg, as active substance. 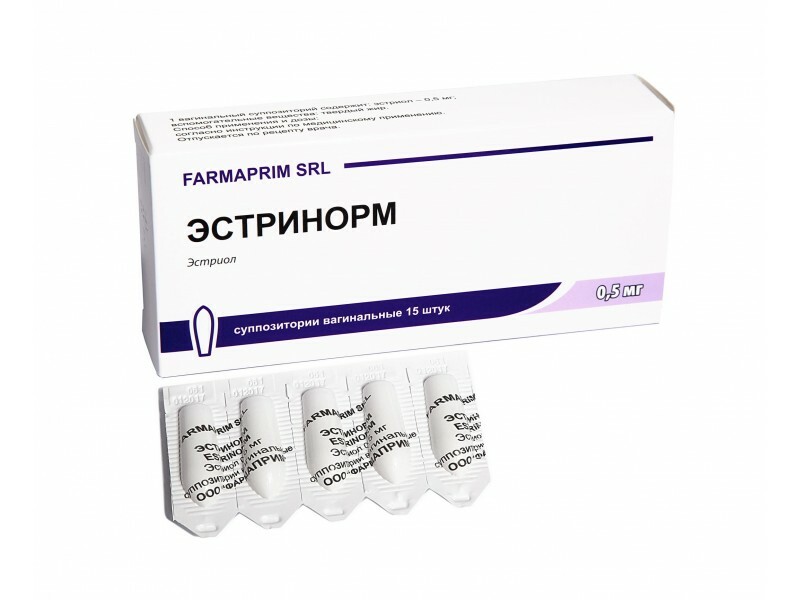 Each ovule contains: metronidazole 225 mg, cloramphenicol 100 mg, nystatin 75 mg, dexamethasone acetate 0,5 mg, as active substances. 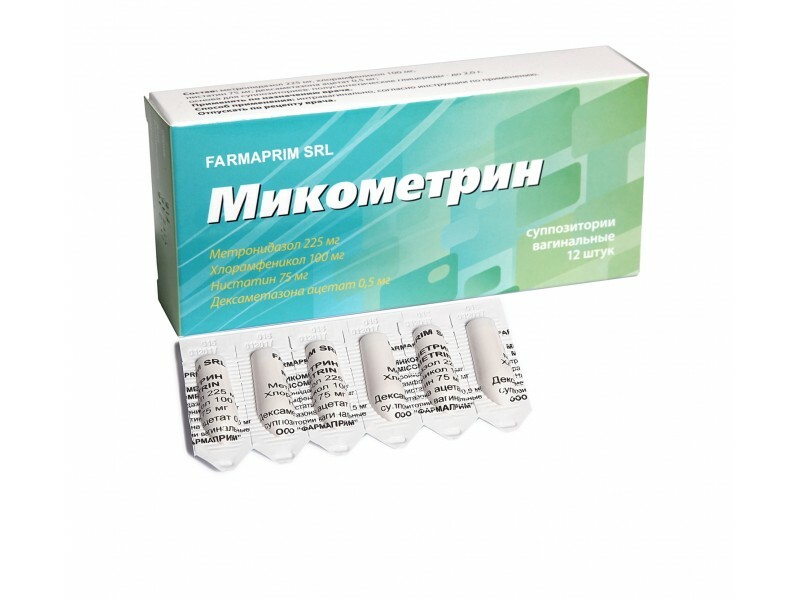 Each ovule contains: miconazole nitrate 100 mg, as active substance. 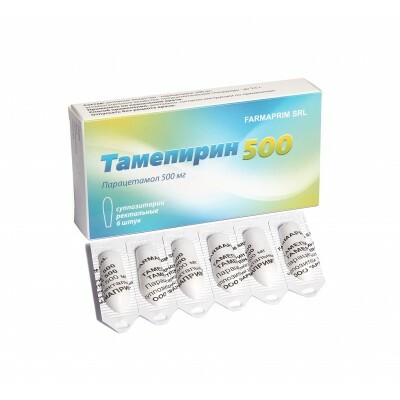 Each suppository contains: bismuth nitrate 75 mg, zinc oxide 200 mg, tannin 50 mg, resorcinol 5 mg, iodine 5 mg, methylene blue 3 mg, glycerol 120 mg, as active substances. 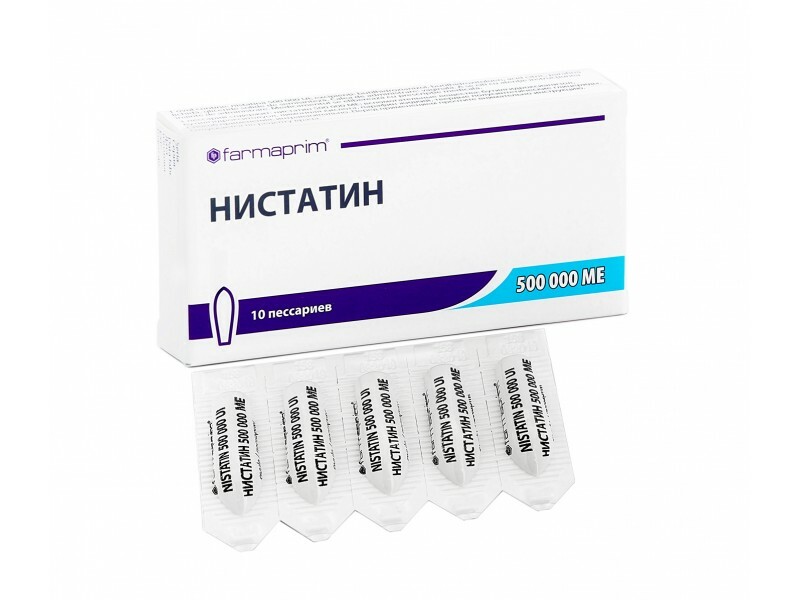 Each ovule contains: nystatin 250 000 UA or 500 000 UA, as active substance. 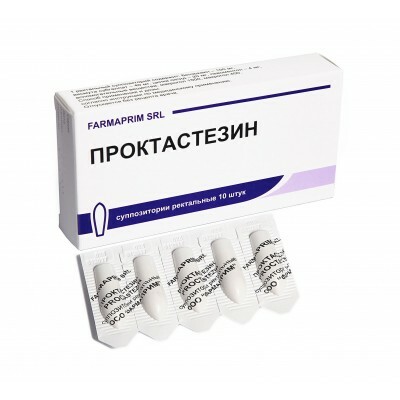 Each suppository contains: papaverine hydrochloride 20 mg, as active substance. 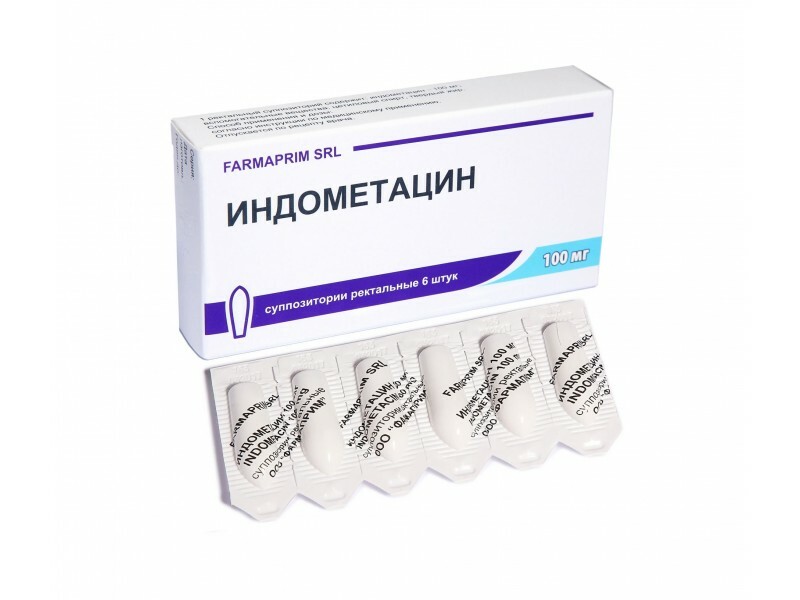 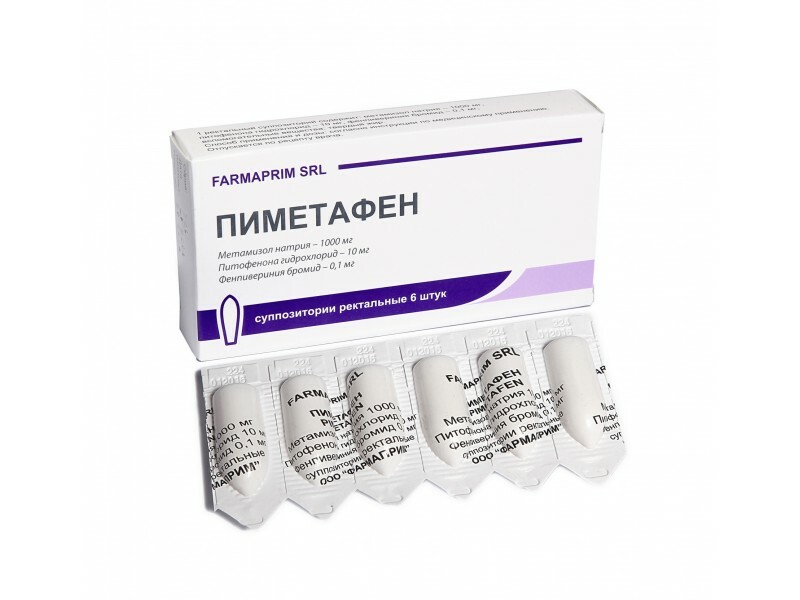 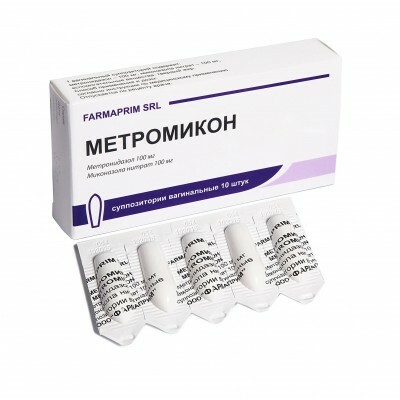 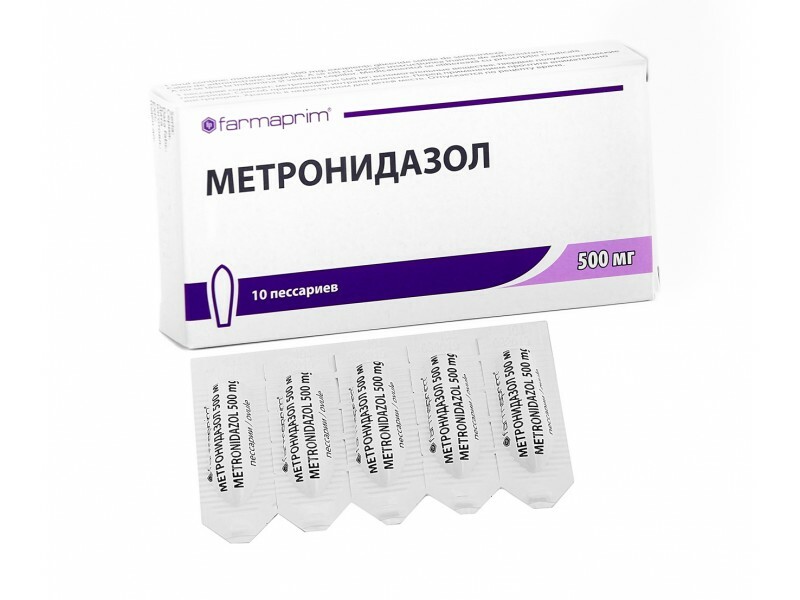 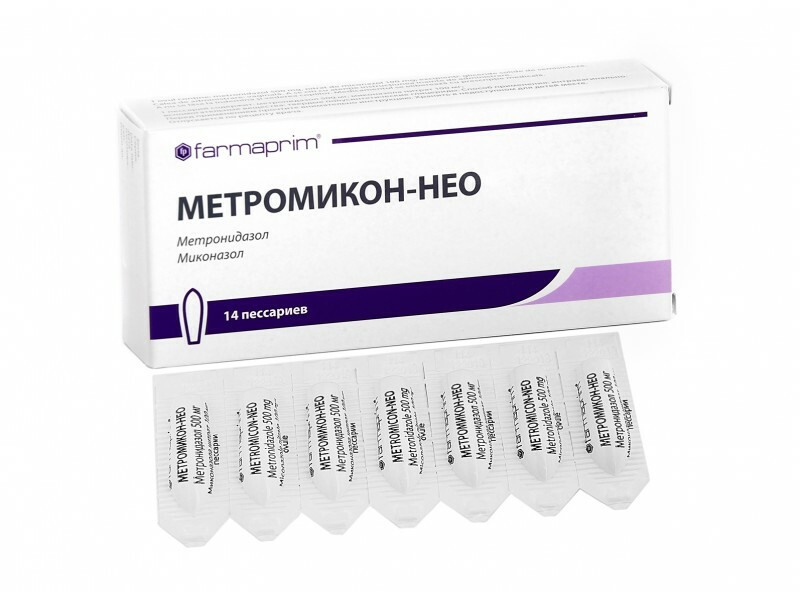 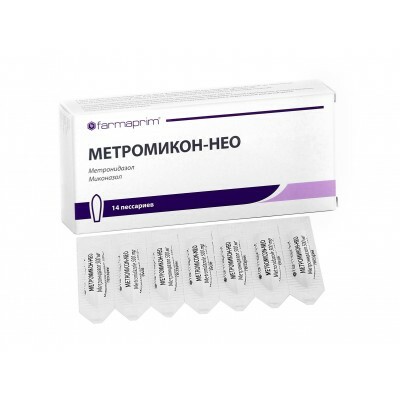 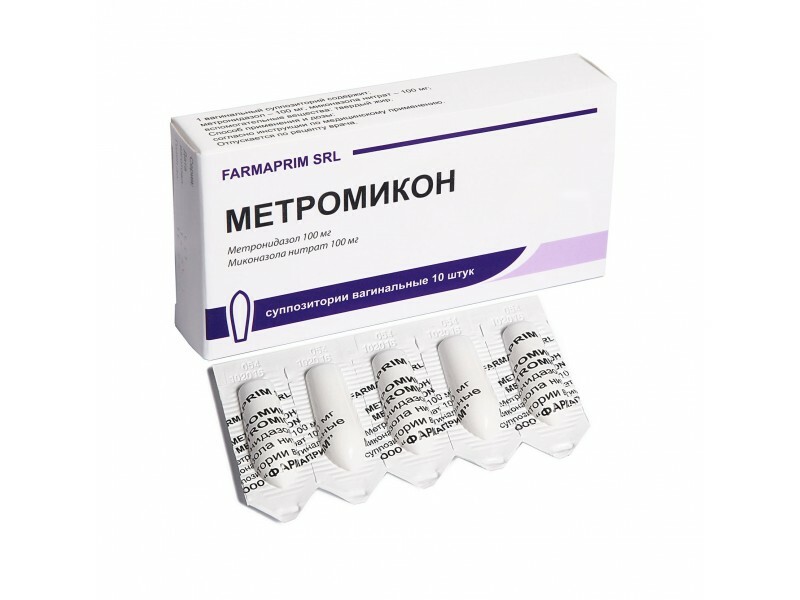 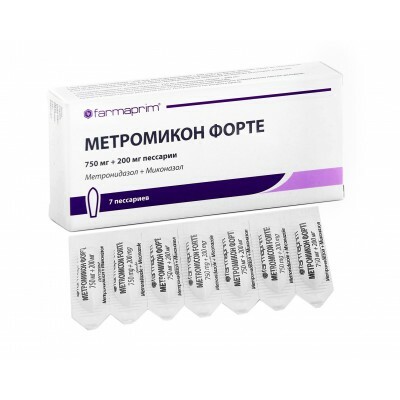 Each suppository contains: metamizol sodium 1000 mg, pitofenone hydrochloride 10 mg, fenpiveriniya bromide 0,1 mg, as active substances. 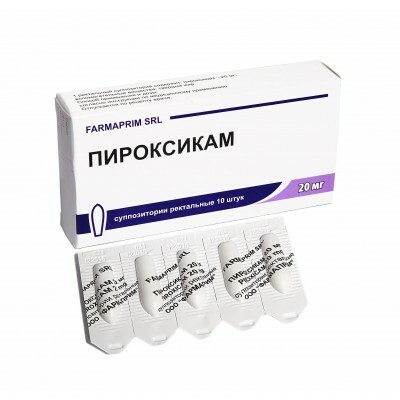 Each suppository contains: piroxicam 20 mg, as active substance. 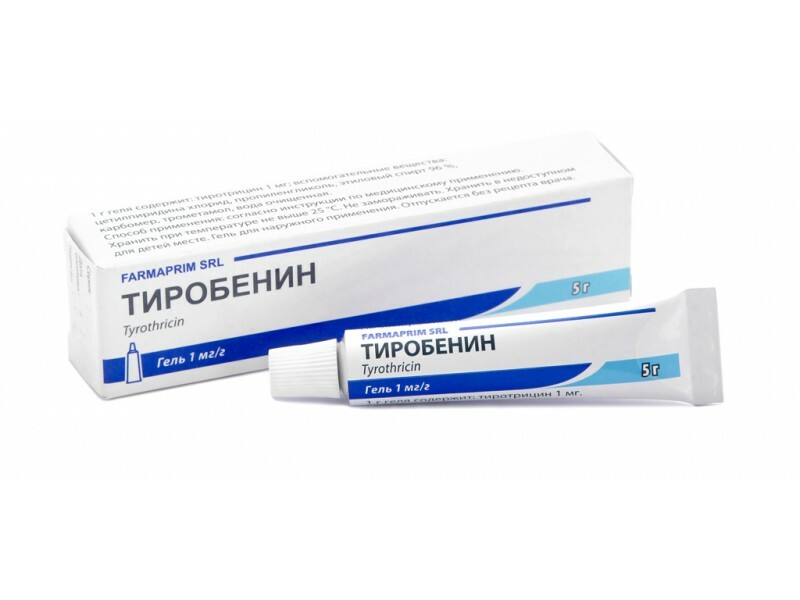 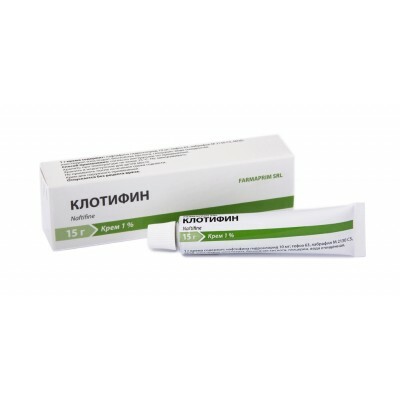 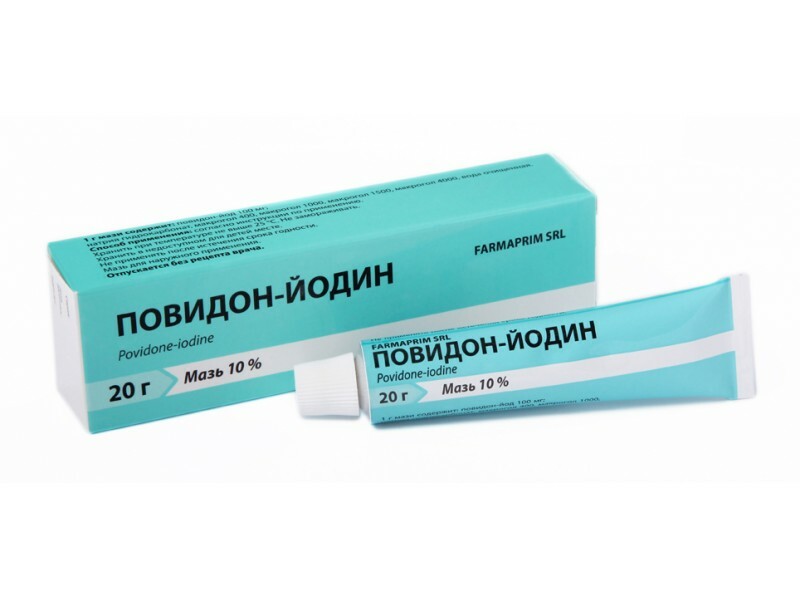 Each gram of the ointment contains: povidone-iodine 100 mg, as active substance. 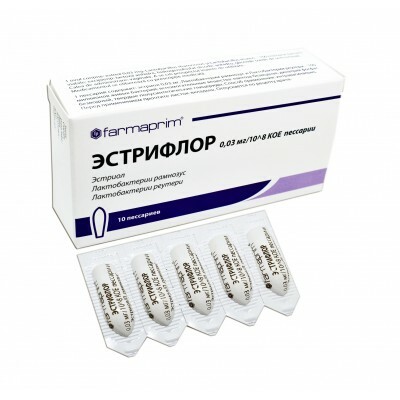 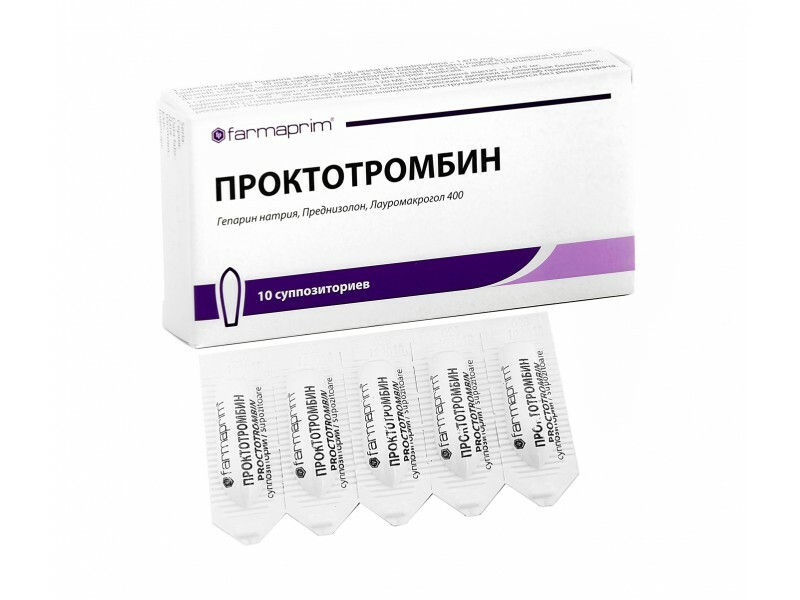 Each ovule contains: povidone-iodine 2g, as active substance. 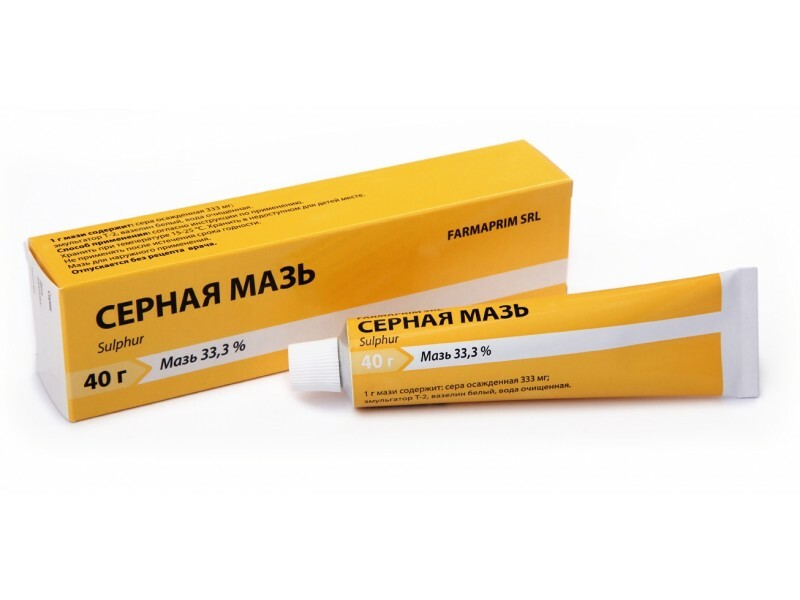 Each gram of the ointment contains: precipitaded sulfur 333 mg, as active substance. 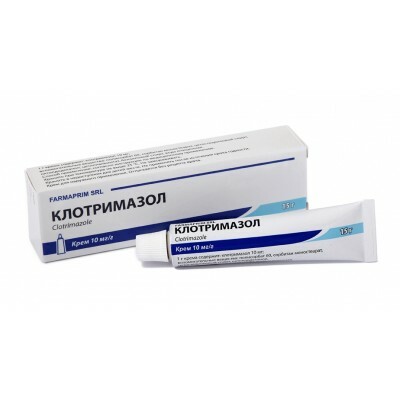 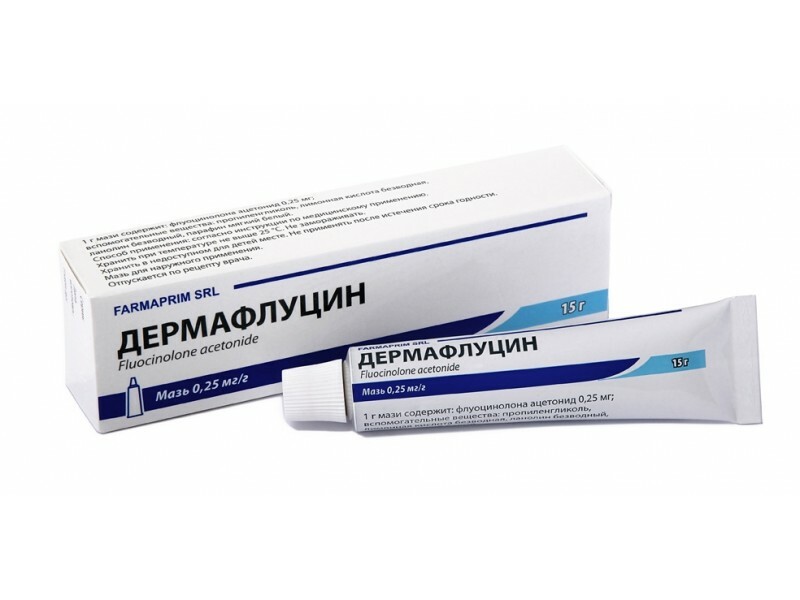 Each gram of the ointment contains: prednisolone 5 mg , as active substance. 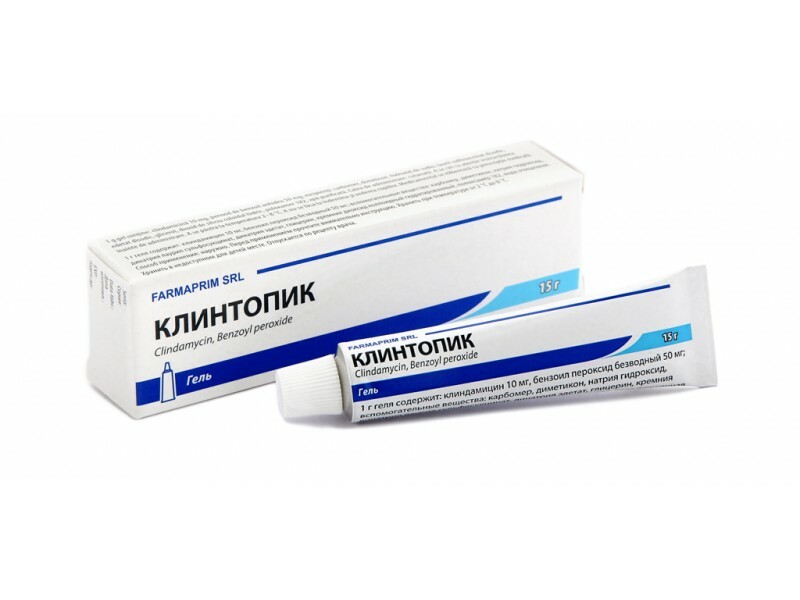 Each gram of the ointment contains: natamycin 20 mg, as active substance. 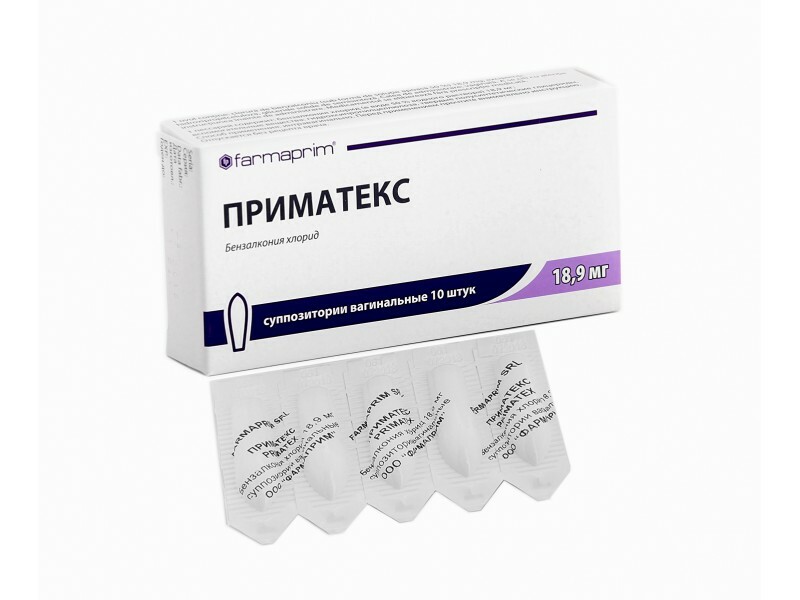 Each ovule contains: natamycin 100 mg, as active substance. 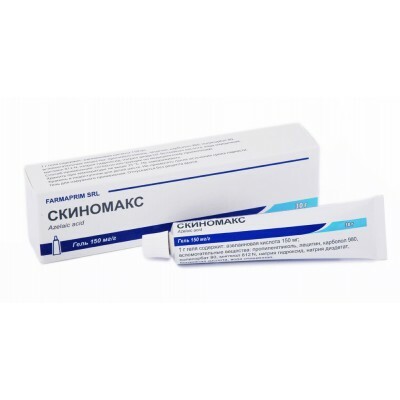 Each gram of the cream contains: benzalkonium chloride aqueous solution 50% - 24 mg, as active substance. 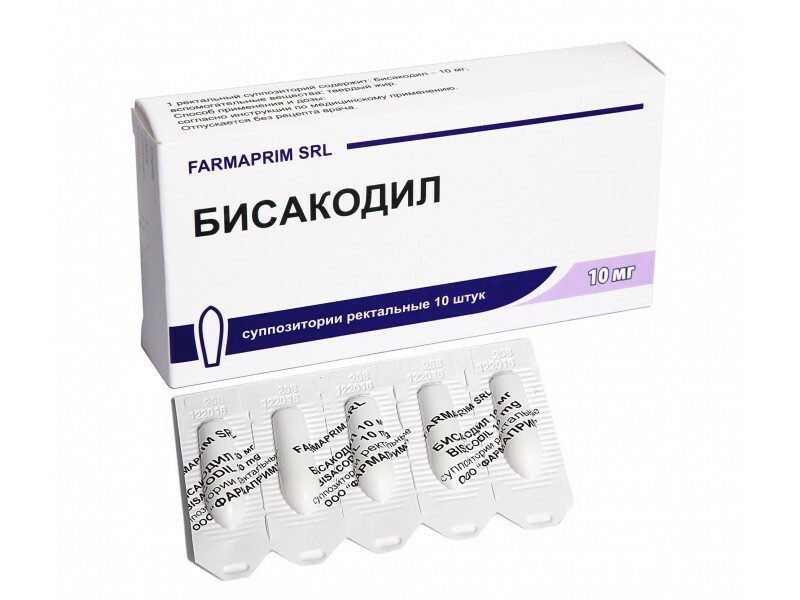 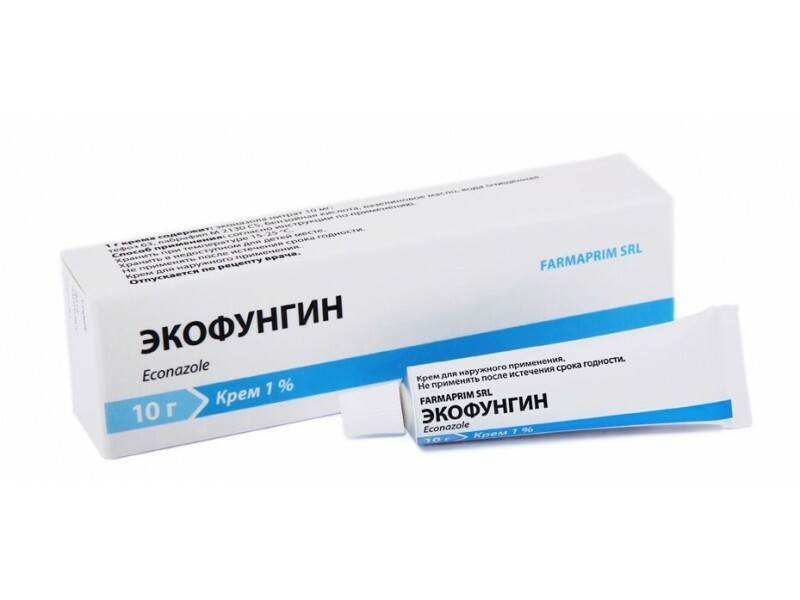 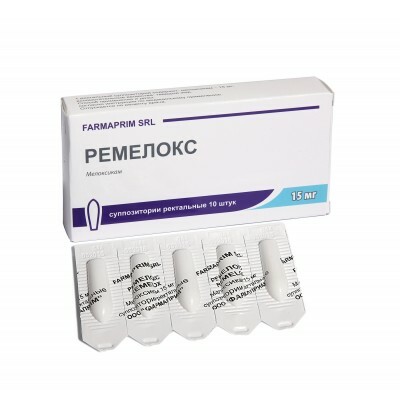 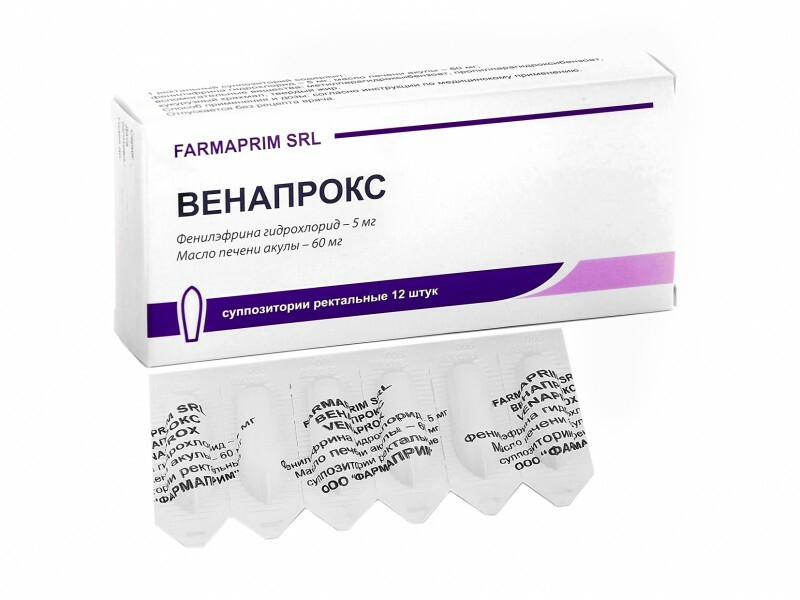 Each ovule contains: benzalkonium chloride 18,9 mg, as active substance. 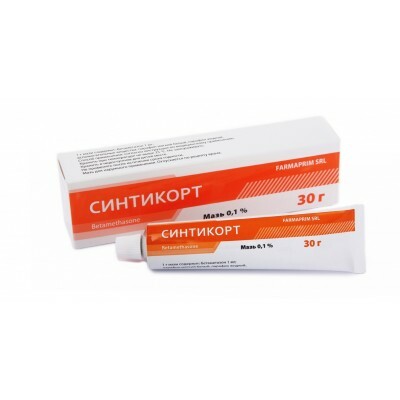 Each suppository contains: benzocaine 100 mg, bismuth subgallate 40 mg zinc oxide 20 mg menthol 4 mg, as active substance. 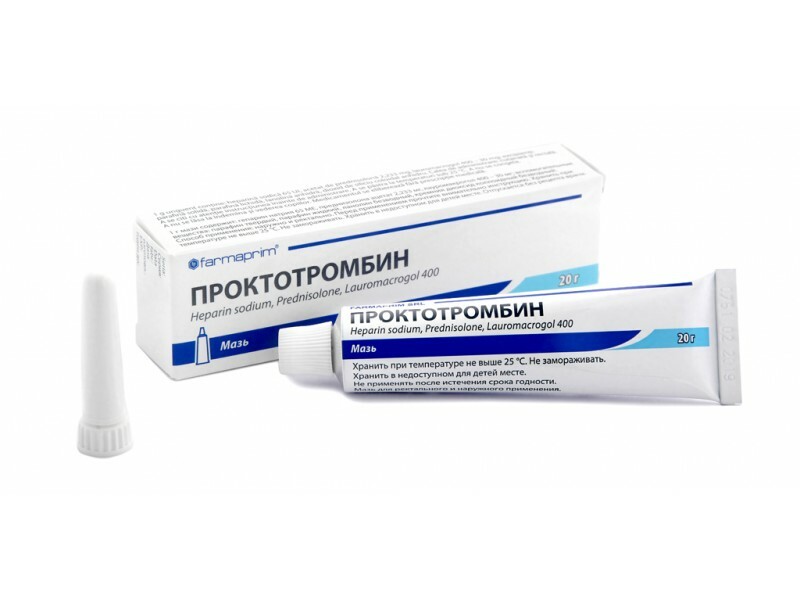 Each gram of the ointment contains: heparin sodium - 65 UI; prednisolone - 2,233 mg, lauromacrogol 400 - 30mg, as active substances. 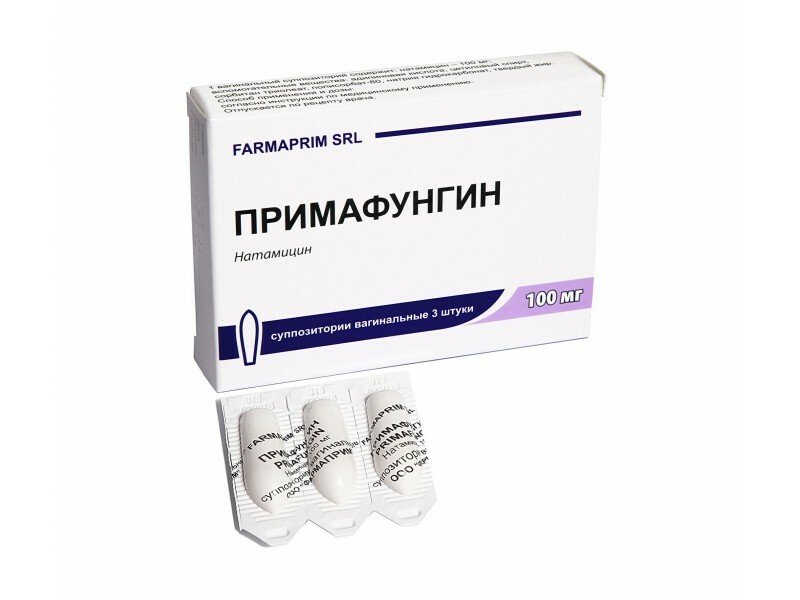 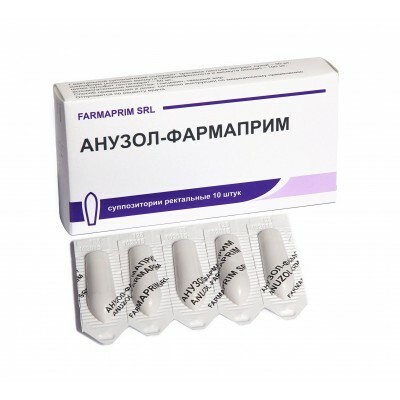 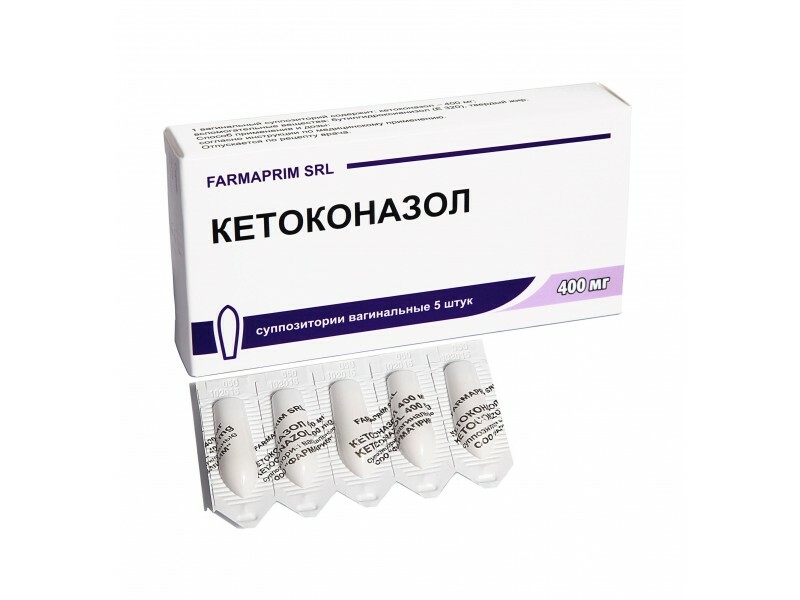 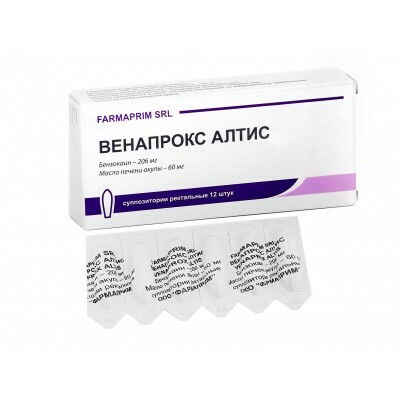 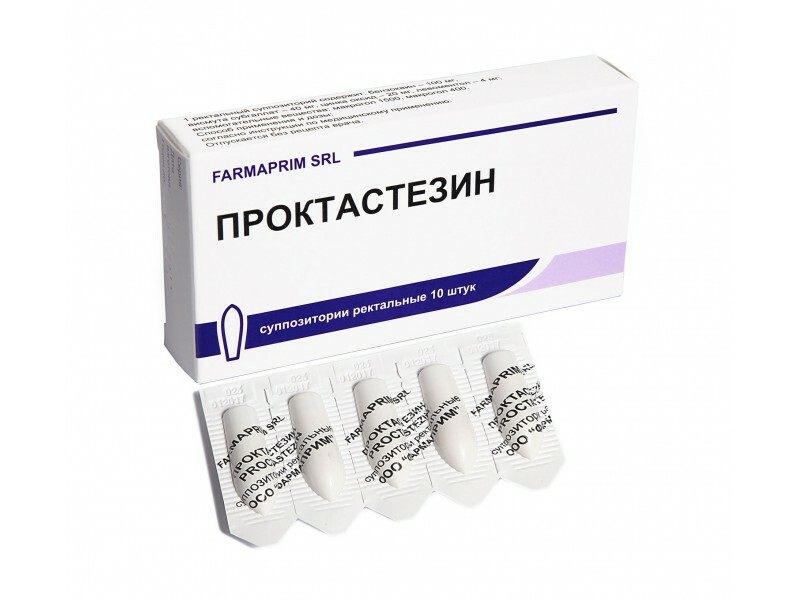 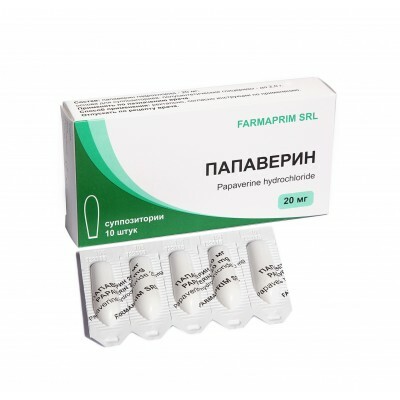 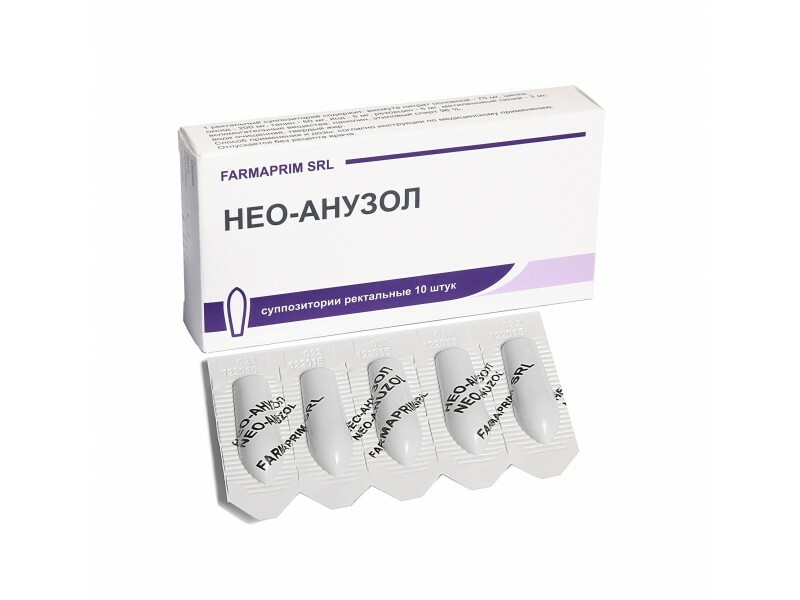 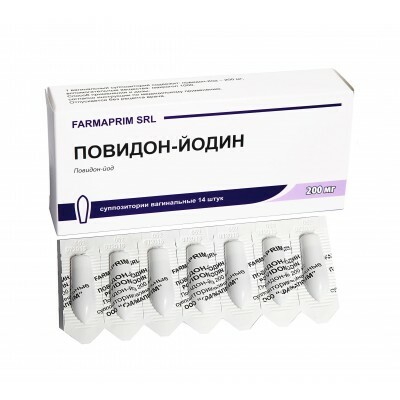 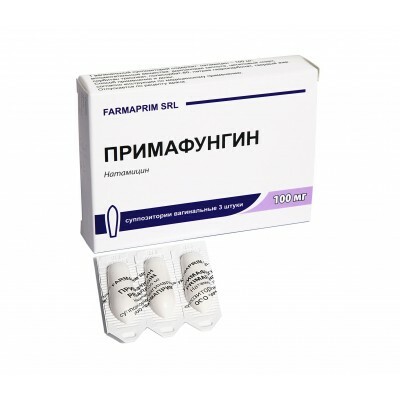 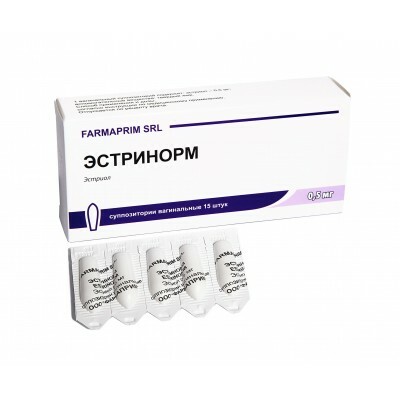 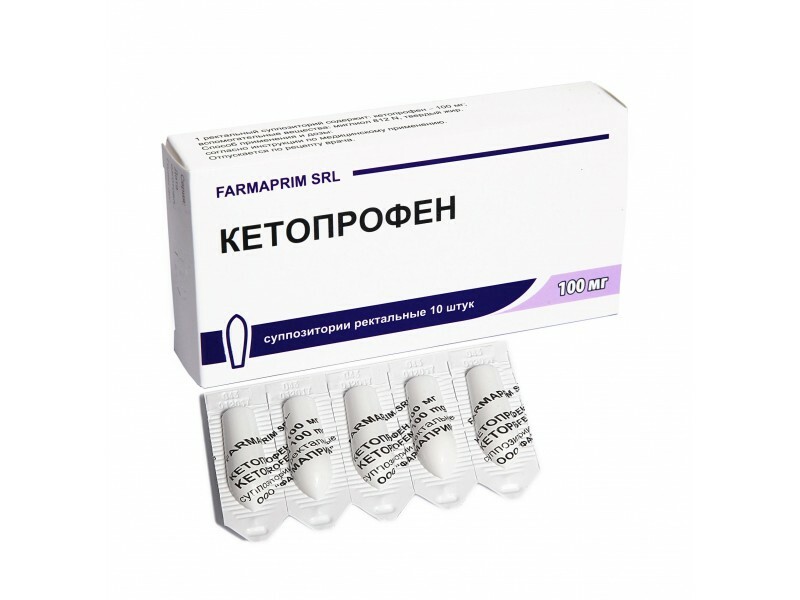 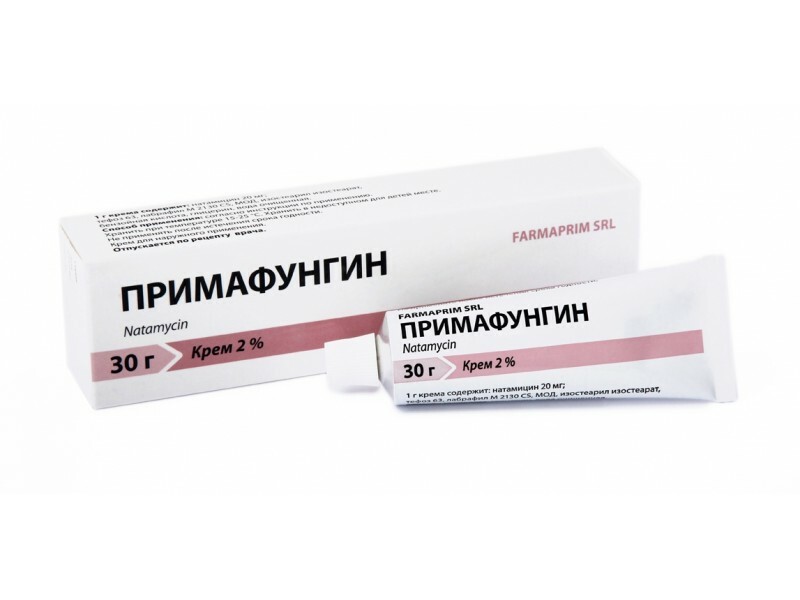 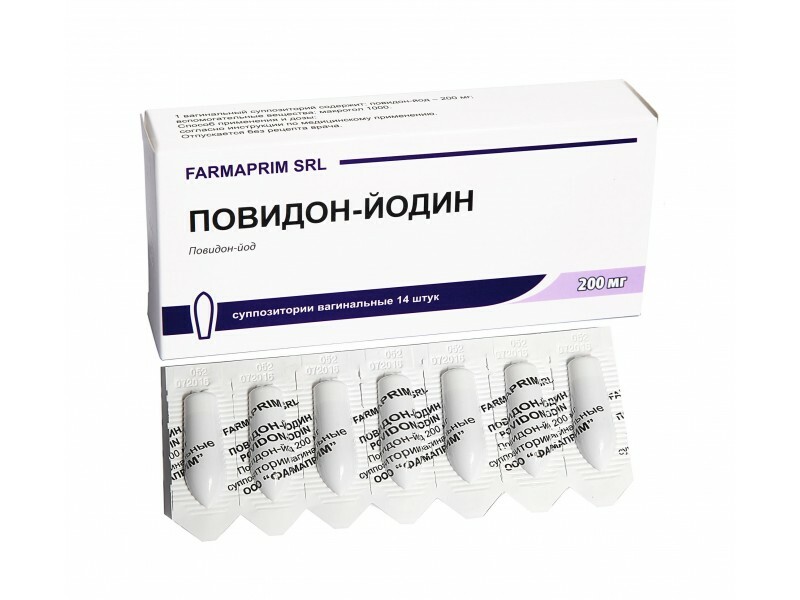 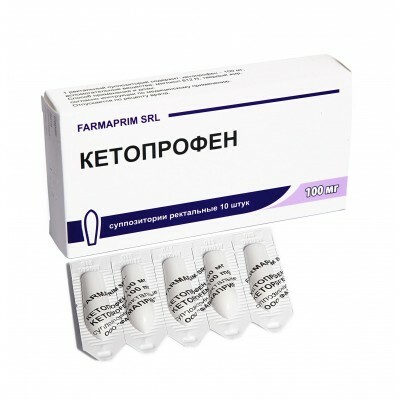 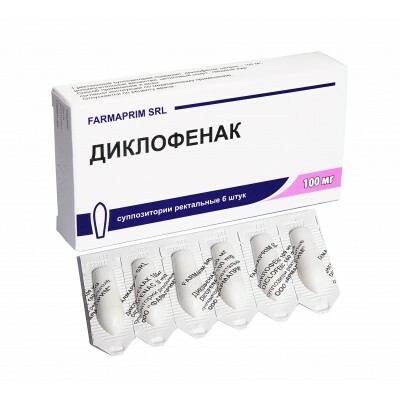 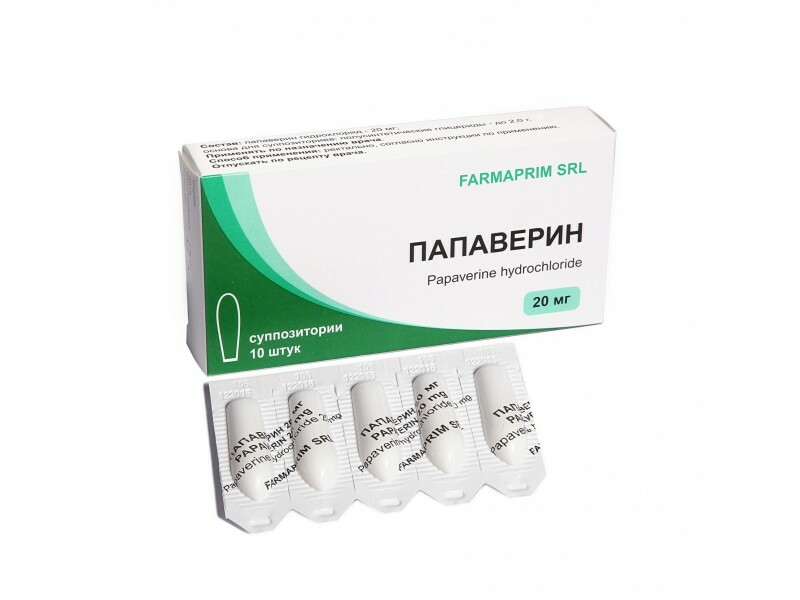 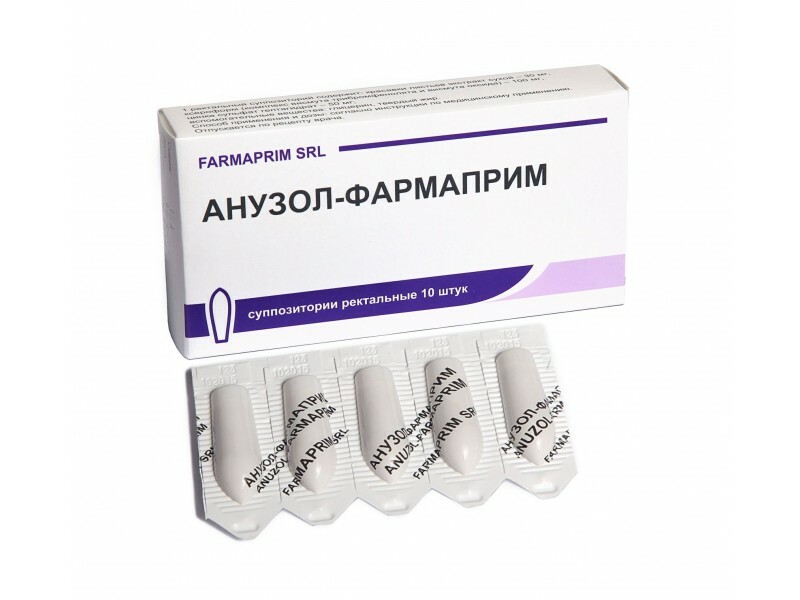 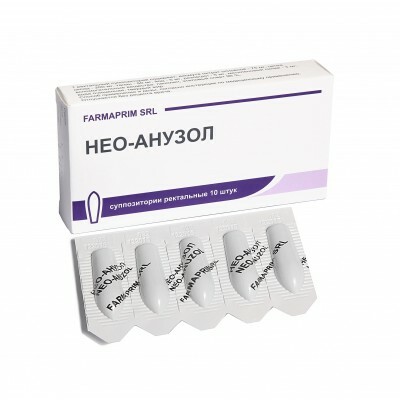 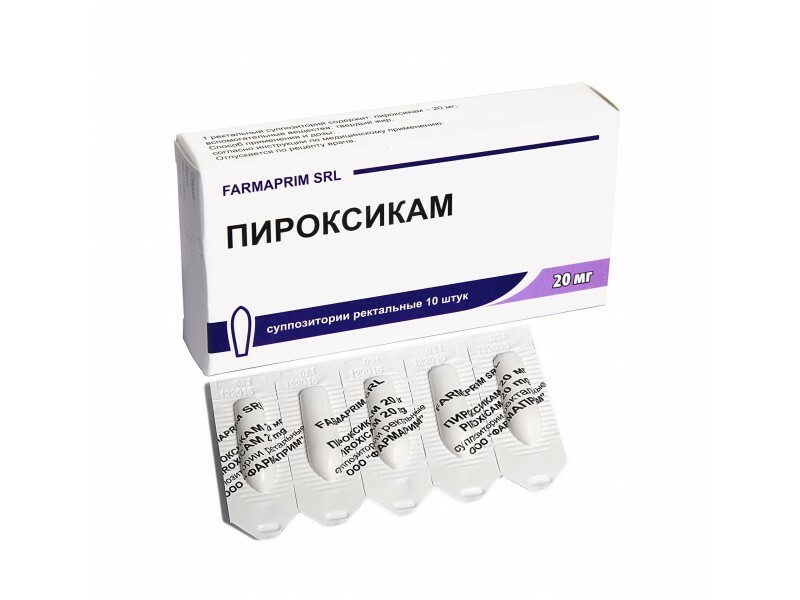 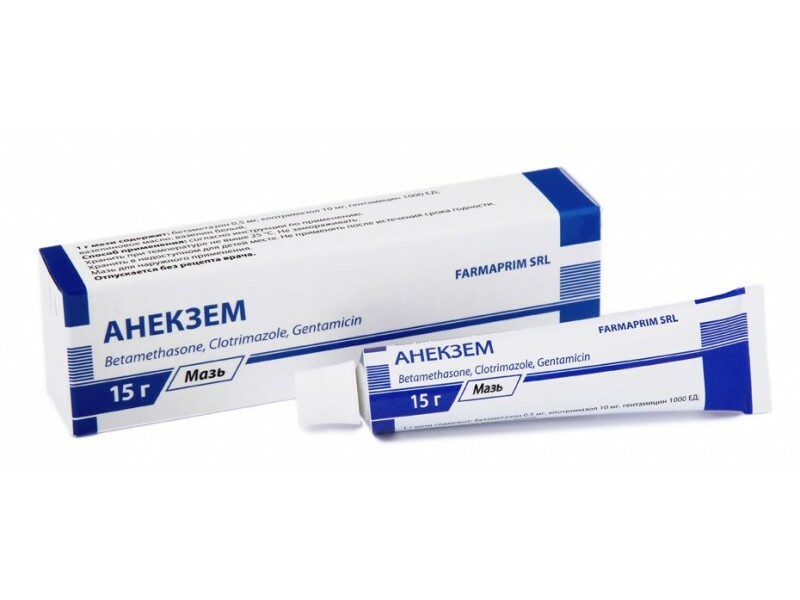 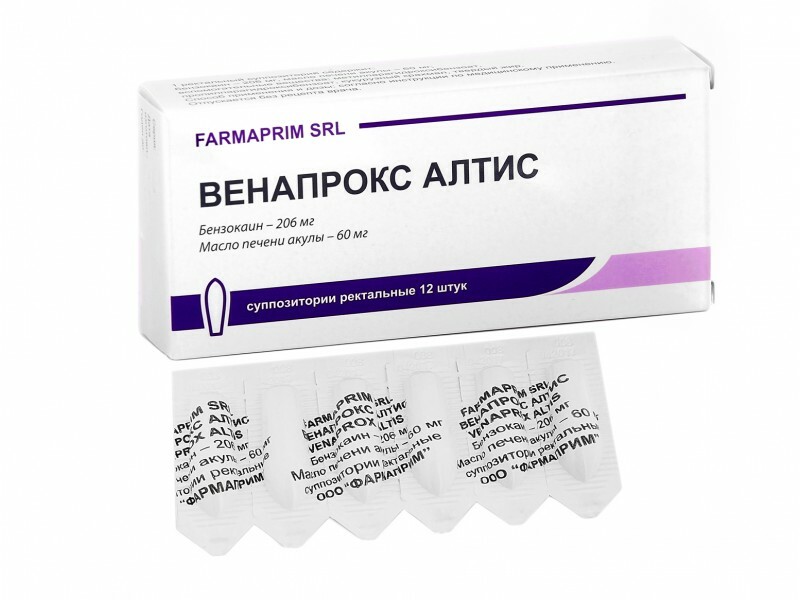 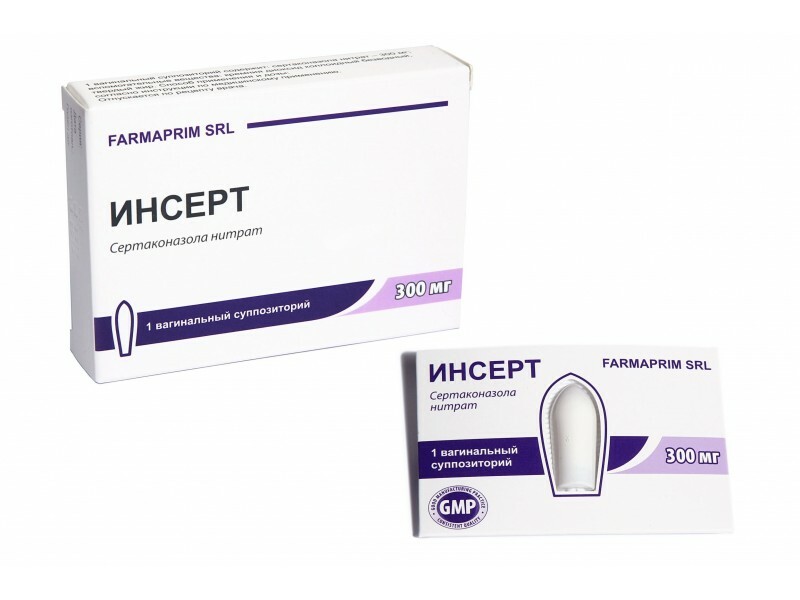 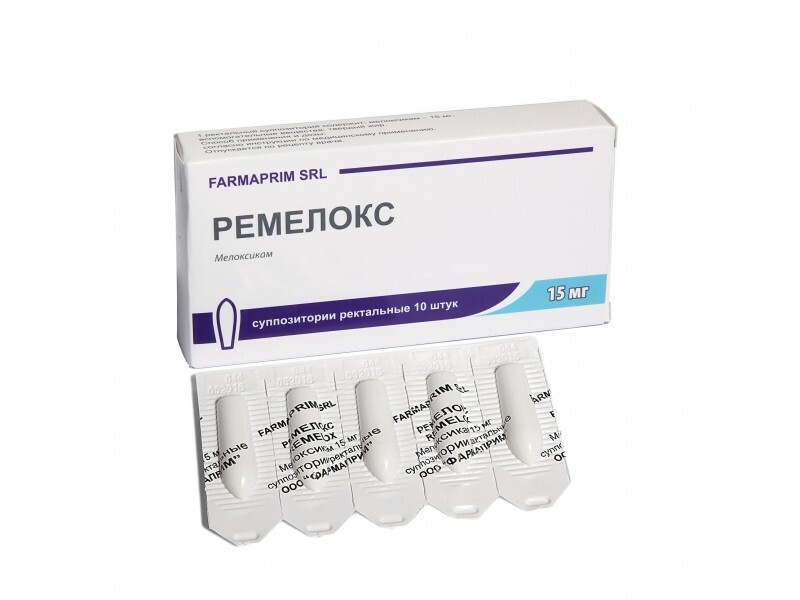 Each suppository contains: heparin sodium 120 UI; prednisolone 1,675 mg, lauromacrogol 400 30mg, as active substances. 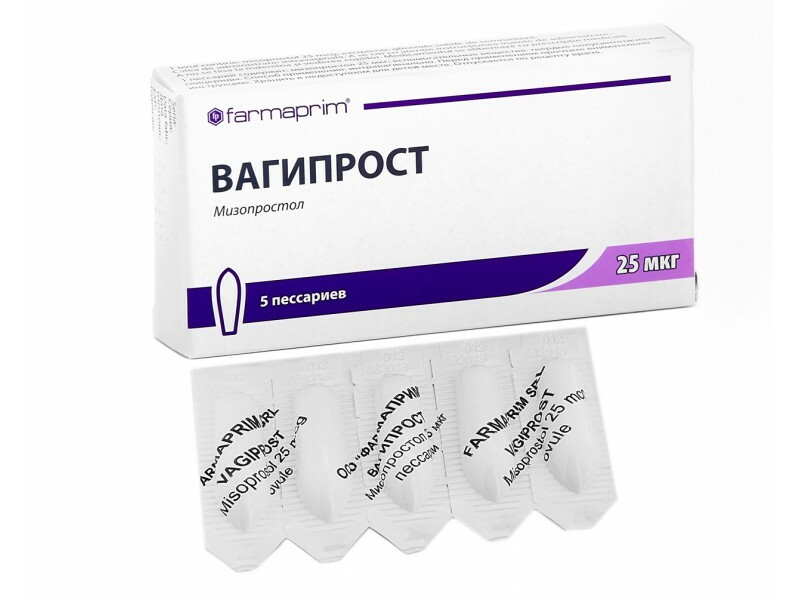 Each suppository contains: ibuprofen 60 mg sau 125 mg, as active substance. 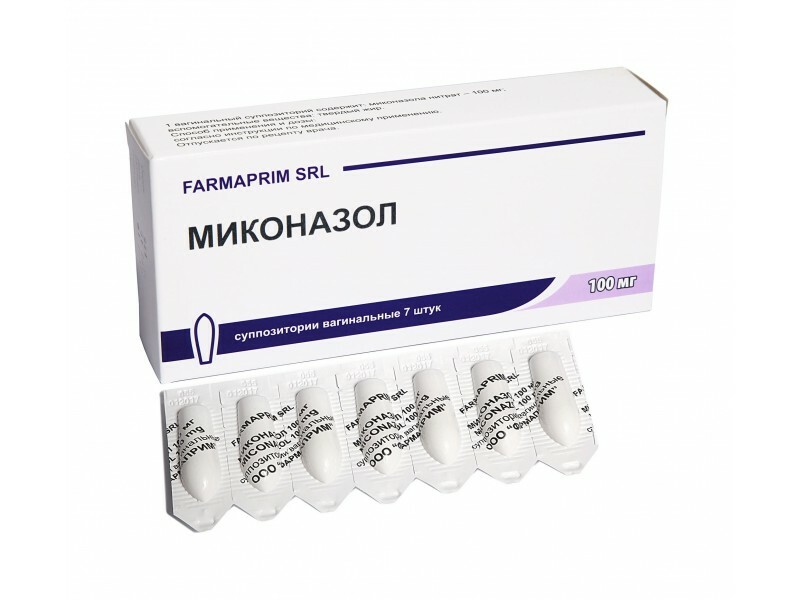 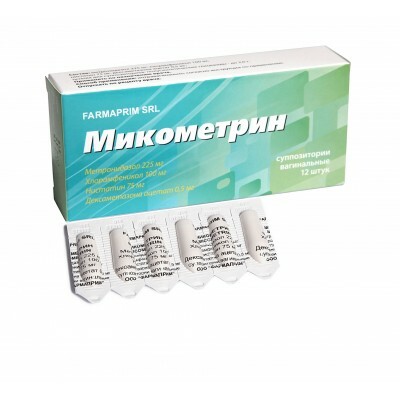 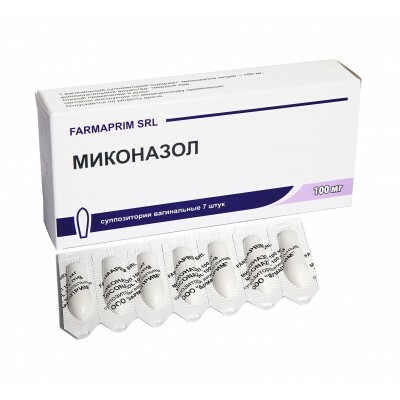 Each suppository contains: meloxicam 7,5 or 15 mg, as active substance. 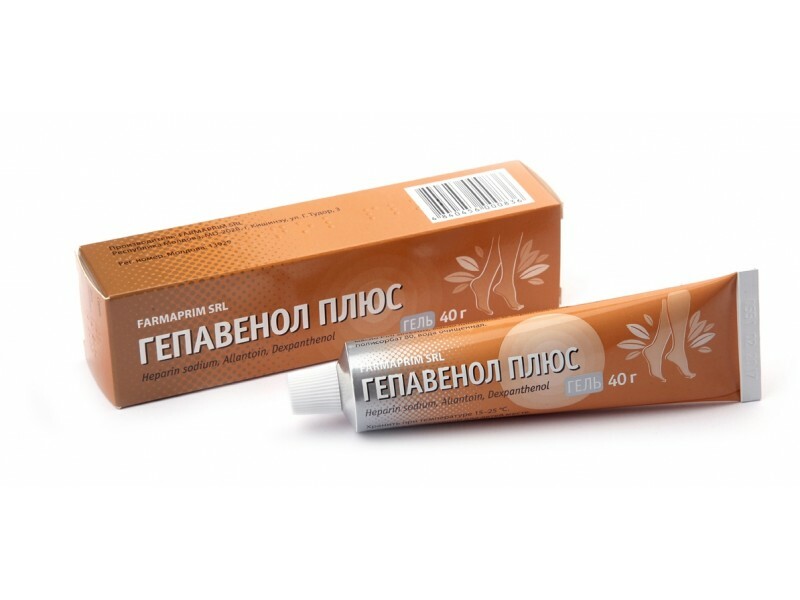 Each suppository contains: sea buckthorn oil 500 mg.
Each gram of the ointment contains: betamethasone 1 mg, as active substance. 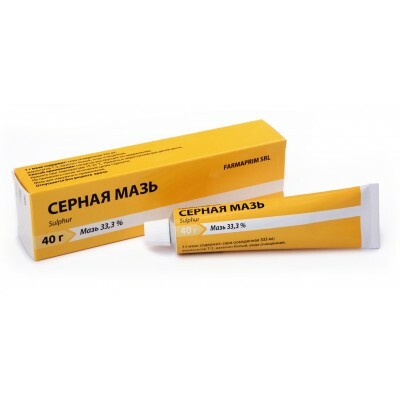 Each gram of the cream contains: betamethasone 1 mg, as active substance. 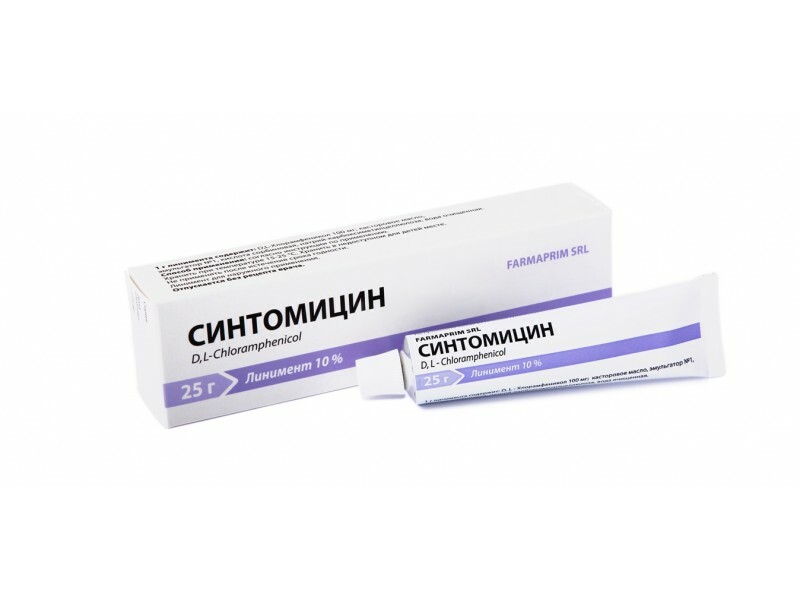 Each gram of the liniment contains: chloramphenicol 30 mg, as active substance. Each ovule contains: D,L - chloramphenicol 250 mg as, active substance. 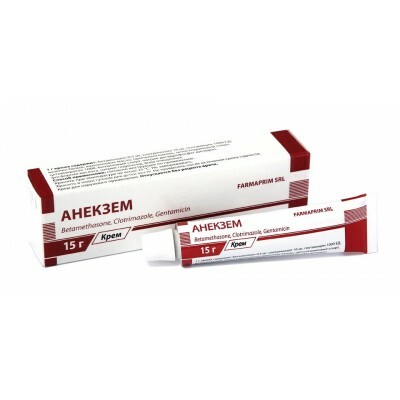 Each gram of the cream contains: azelaic acid 200 mg, as active substance. 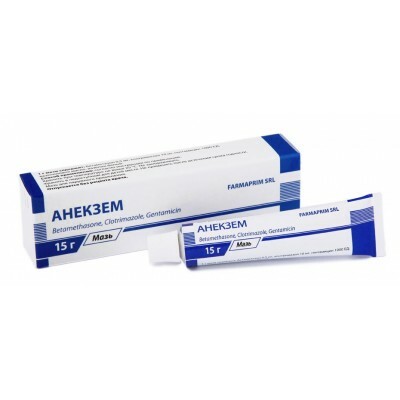 Each gram of the gel contains: azelaic acid 200 mg, as active substance. 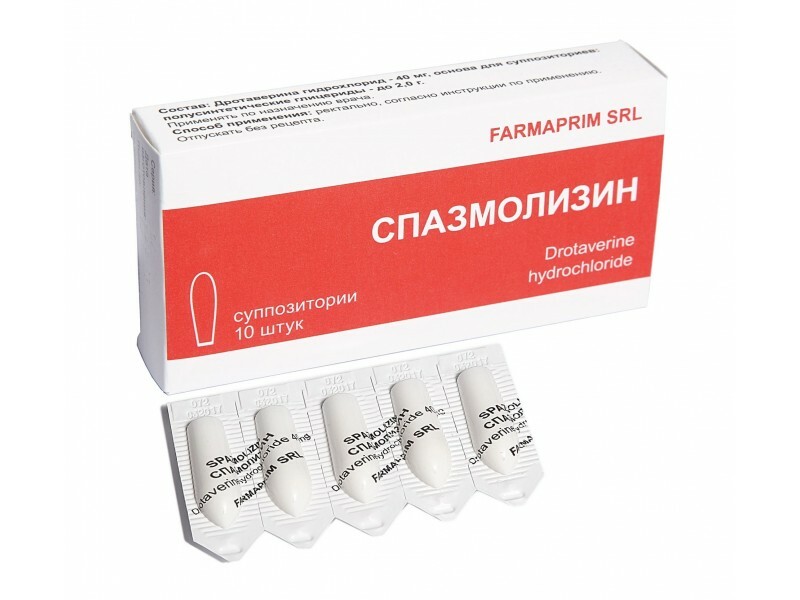 Each suppository contains: drotaverine hydrochloride 40 mg, as active substance. 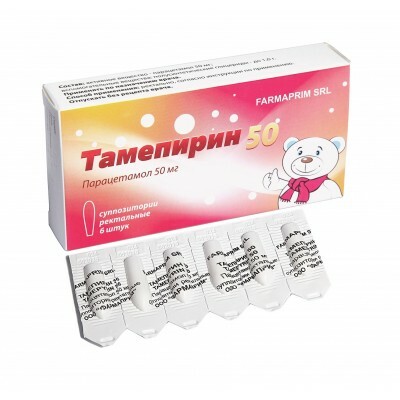 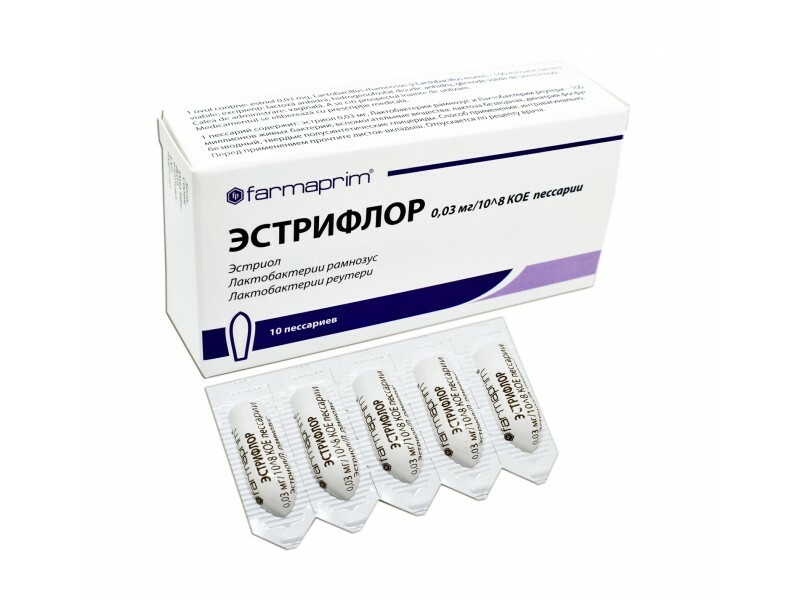 Each suppository contains: paracetamol 50 mg, or 100 mg, or 250 mg, as active substance. 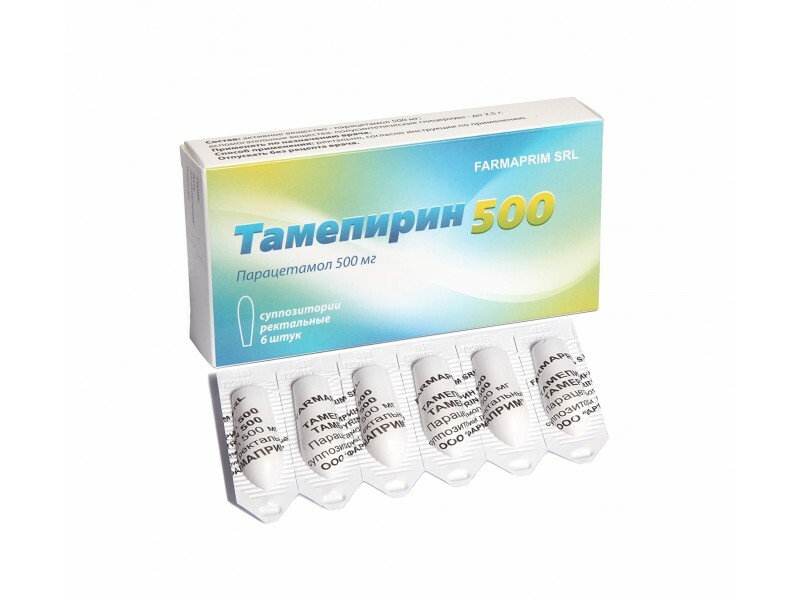 Each suppository contains: paracetamol 500 mg, as active substance. 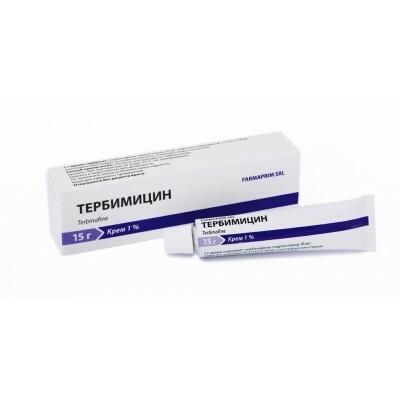 Each gram of the cream contains: terbinafine hydrochloride 10 mg, as active substance. 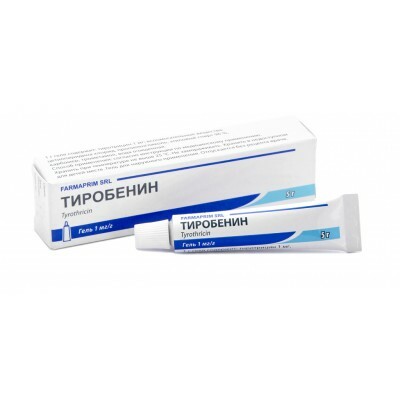 Each gram of the gel contains: tyrothricin 1mg, as active substance. 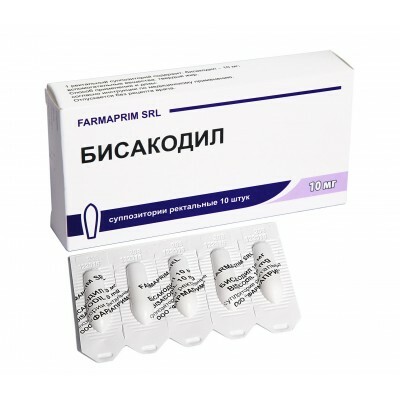 Each ovule contains: misoprostol 25 mcg, as active substance. 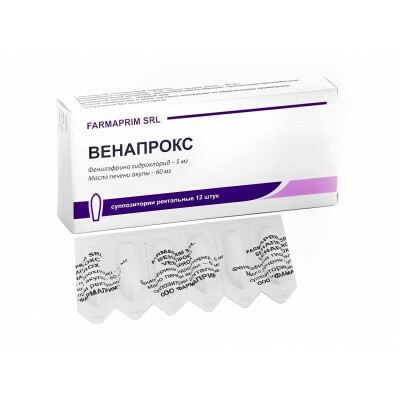 Each suppository contains: benzocaine 206 mg; shark liver oil 60 mg, as active substances. 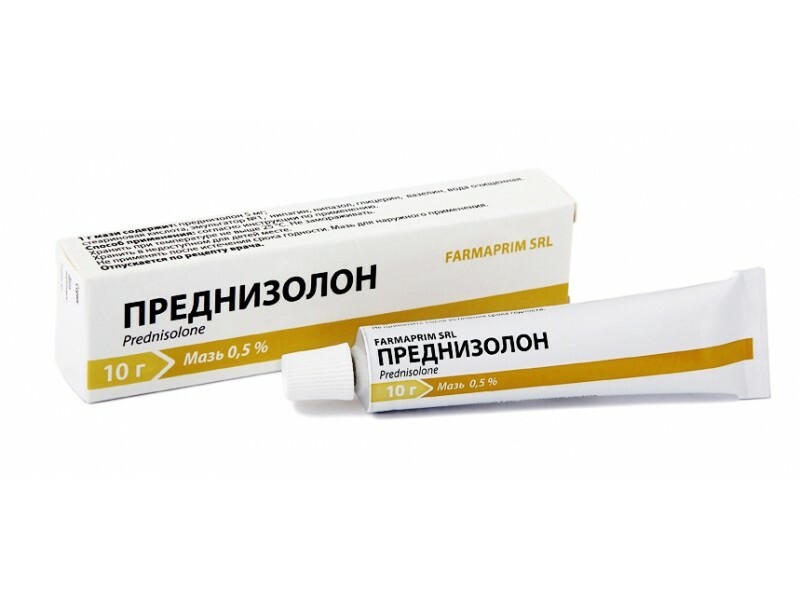 Each suppository contains: phenylephrine hydrochloride 5 mg; shark liver oil 60 mg, as active substances. 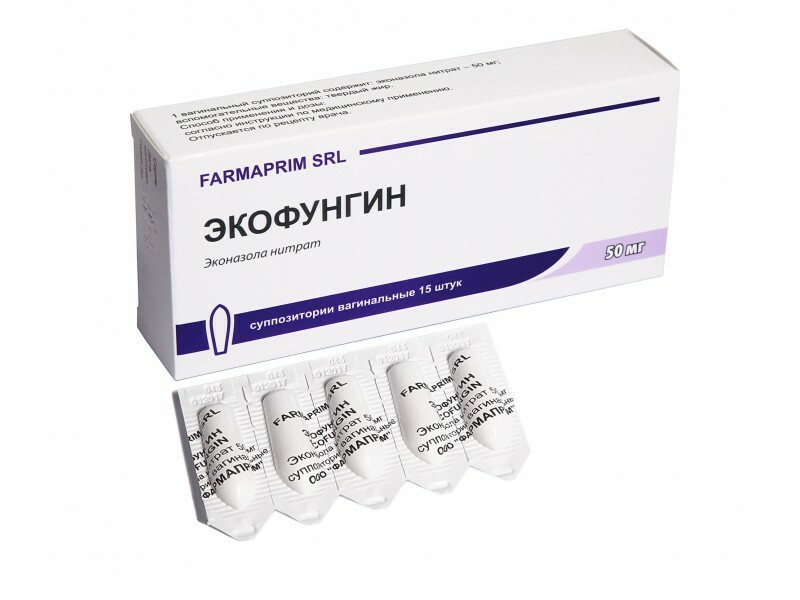 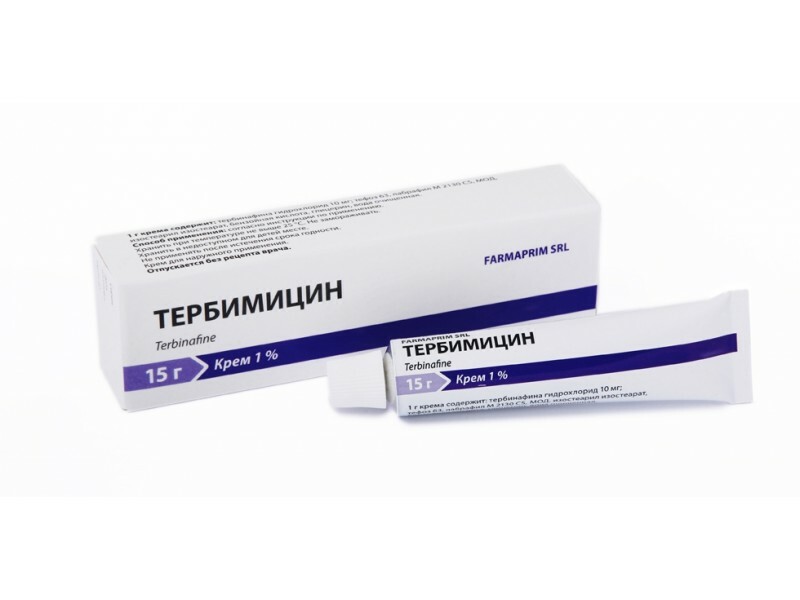 Each gram of the gel contains: troxerutin 20 mg, as active substances. 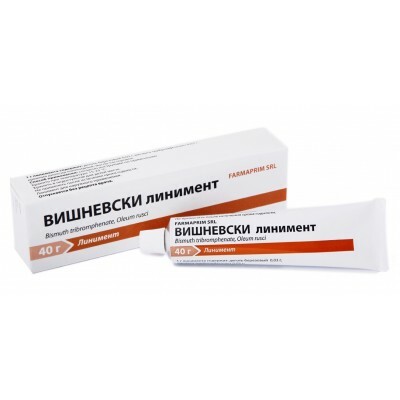 Each gram of the liniment contains: bismuth tribromphenate 30 mg; oleum rusci 30 mg, as active substances. 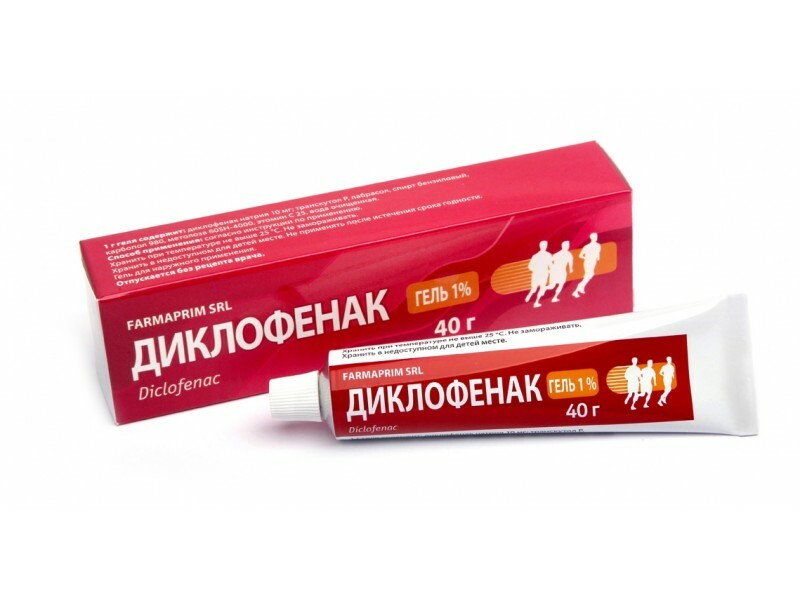 Each gram of the ointment contains: zinc oxide 400 mg, as active substance. 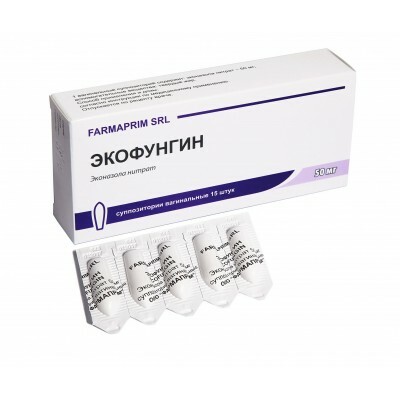 Each suppository contains: xeroform 100 mg, extract of belladonna 30 mg, zinc sulfate 50 mg, glycerol 120 mg, as active substances. 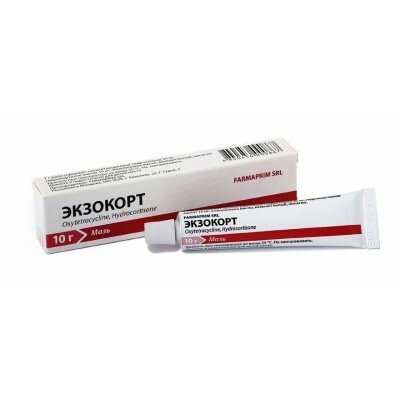 Each gram of the ointment contains: mometasone furoate 1,0 mg, as active substance.